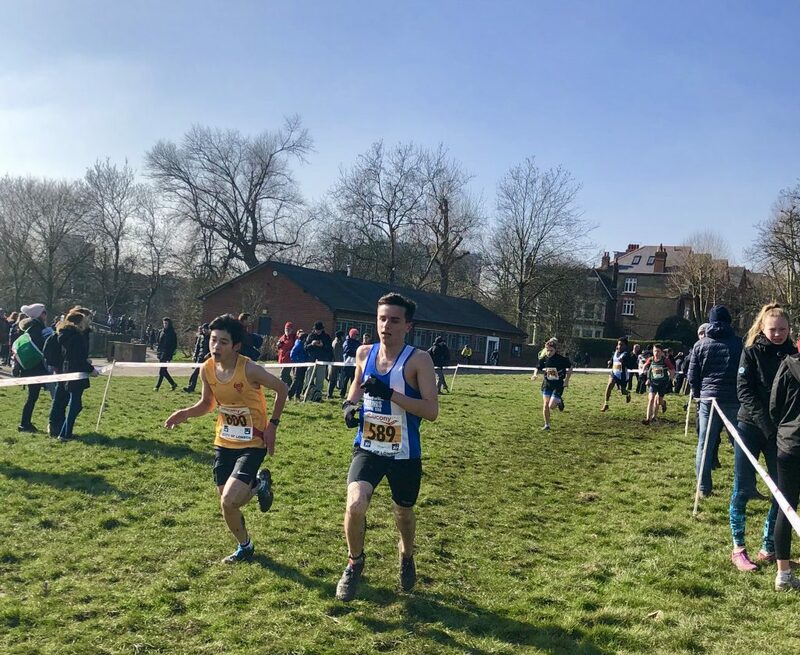 Turned out be a very good day for the Harriers at this years National Cross Championships on the iconic course at Parliament Hill in Hampstead and highlighted by top 30 individual finishes in the Men’s Senior and U15 Boys Races. 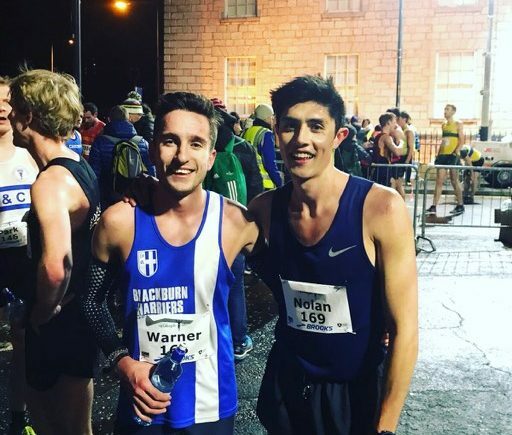 Two thousand three hundred and twenty eight finishers in the Men’s Senior Race over 12k won by Adam Hickey in a time of 39.35, nine seconds in front of the second placed athlete Andrew Maud. 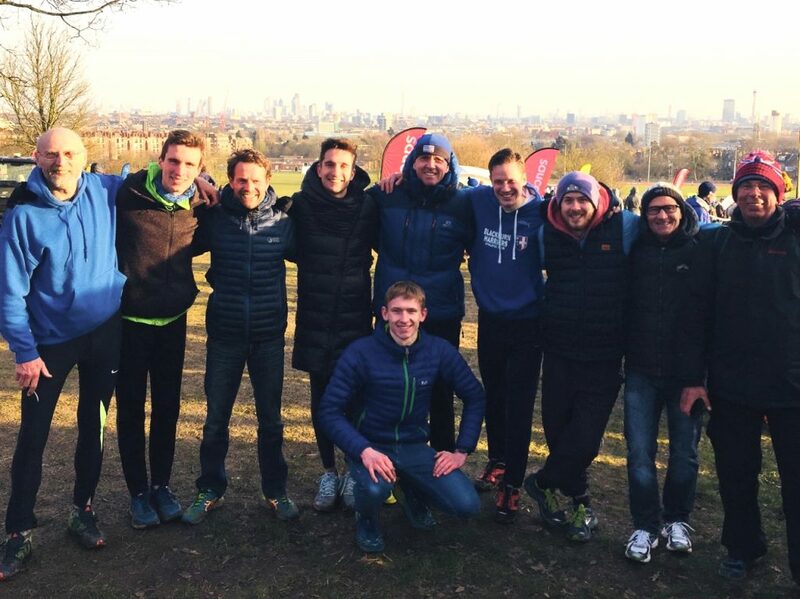 The Harriers Men’s Team featured Rob Warner, Ben Fish, Tim Raynes, Jack Hindle, Mat Nuttall, Paul Guinan and John Chaplin, with George Woodburn, Karl Billington and Evan Cook the main cheerleaders. 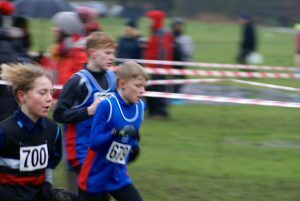 One hundred and sixty two Clubs contested the Championships with the Harriers finishing in 22nd overall. 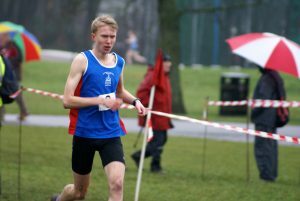 Jack Hindle who had a very good run at the Northerns in Leeds in January and part of the Men’s Senior Team who won the local Red Rose League Title, was next home for the Harriers with another very good run as he came home in a time of 44.31 in 153rd place. 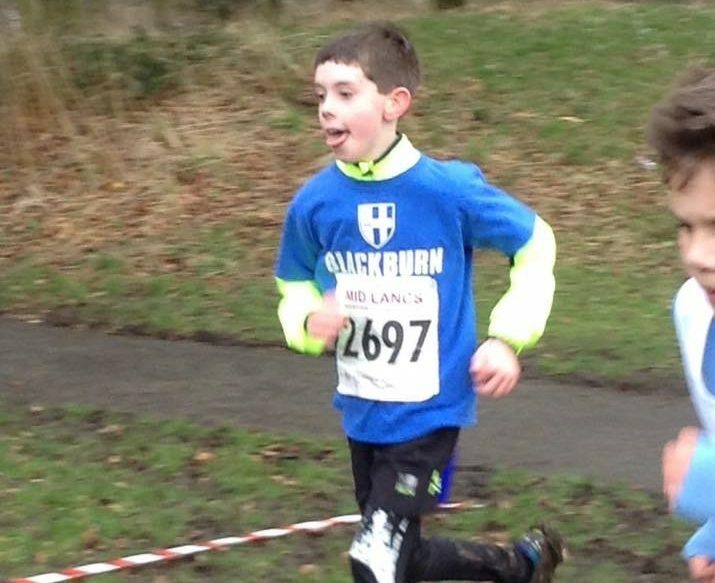 Jack was really pleased with his run and the way that all the Harriers had performed, commenting that it had been ”a fantastic day out for Blackburn Harriers. 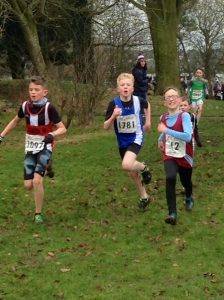 Impressive runs from the U15 boys to start the day off and then for Rob and Ben to both be in the top 50, shows our quality. 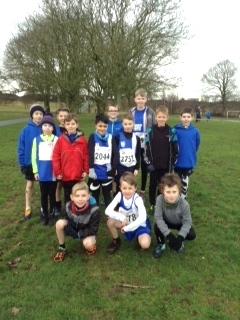 Well done to all the lads on their runs. 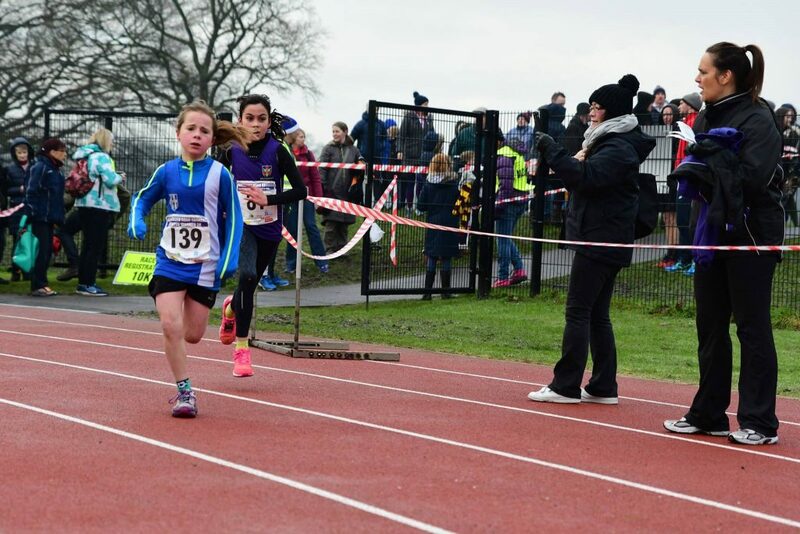 A fantastic atmosphere and great team spirit. 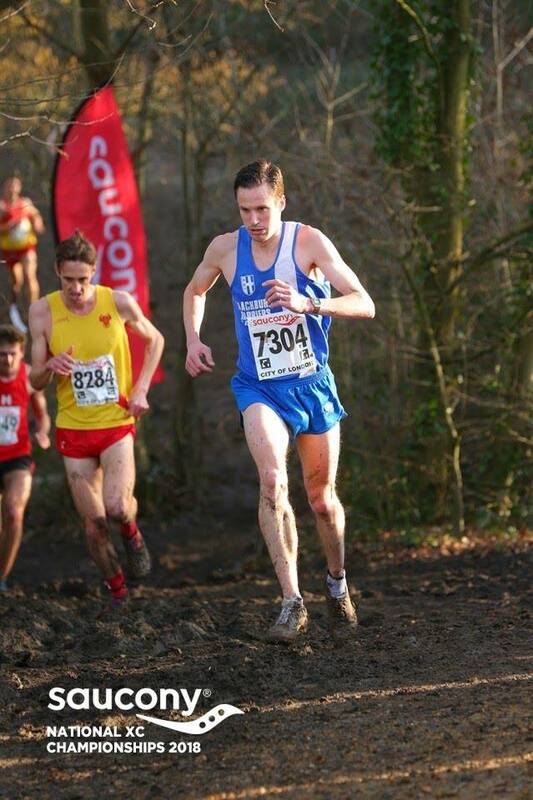 It’s rounded off what has been one of our best ever Senior Men’s XC seasons”. 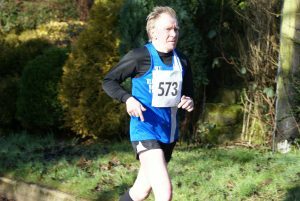 With a time of 48.54, Mat Nuttall was the Club’s 5th counter in 492nd spot with Senior Men’s Team Captain Paul Guinan in 739th place clocking a time of 51.24. 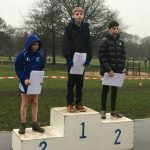 Paul reflected on his first season as Team Captain and the days events, telling the Club “What a great way to end the XC Season, a truly iconic race with racing conditions near perfect, what an effort by all, finishing 22nd team is impressive. 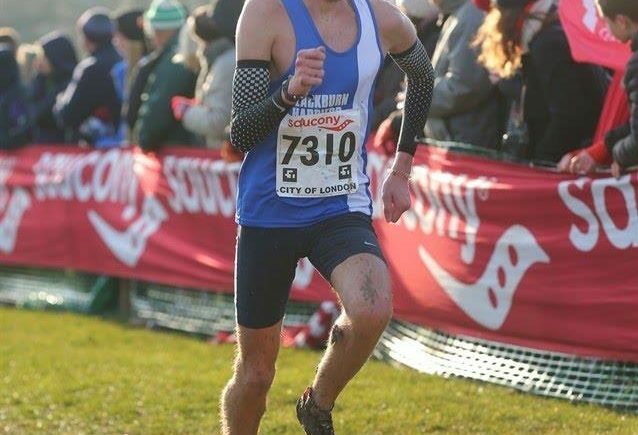 Rob W confirming he ran the race of his life finishing 27th is fantastic, thanks to all the team for a great season and I get the feeling things are going to get even better, finally having George, Karl & Evan here really did put the icing on the cake, a brilliant weekend”. 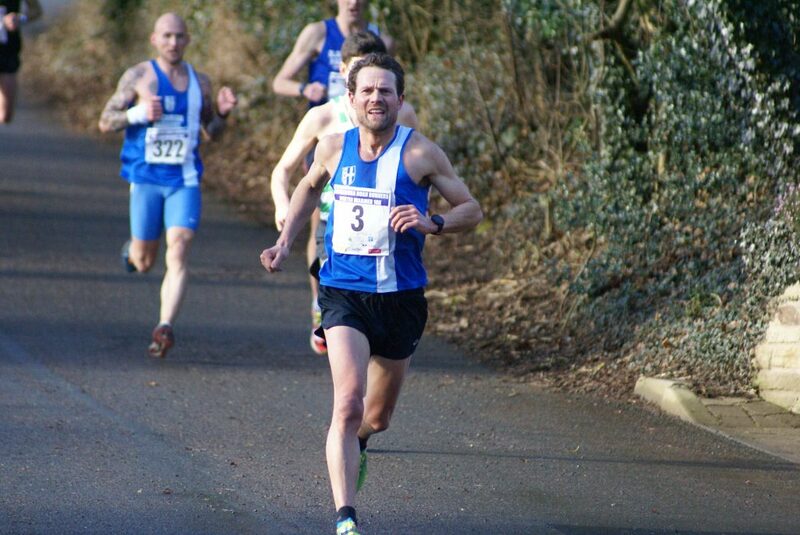 V60 John Chaplin was the final runner home for the Club with a time of 61.22 in 1703rd. 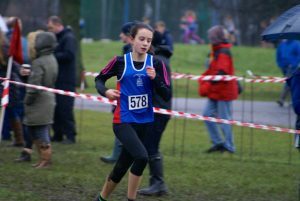 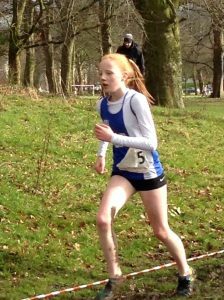 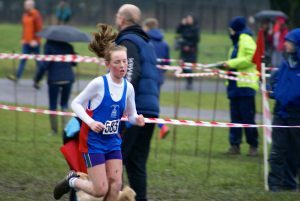 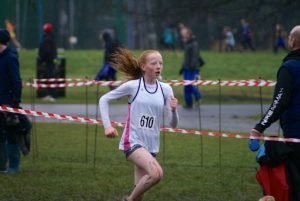 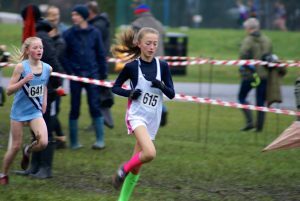 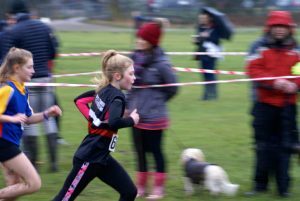 Katie Buckingham who is having a very good cross country season, ran for the first time in the Senior Women’s race featuring one hundred and twelve Clubs and eleven hundred and thirteen finishers, coming home in an impressive 193rd spot with a time of 35.32. 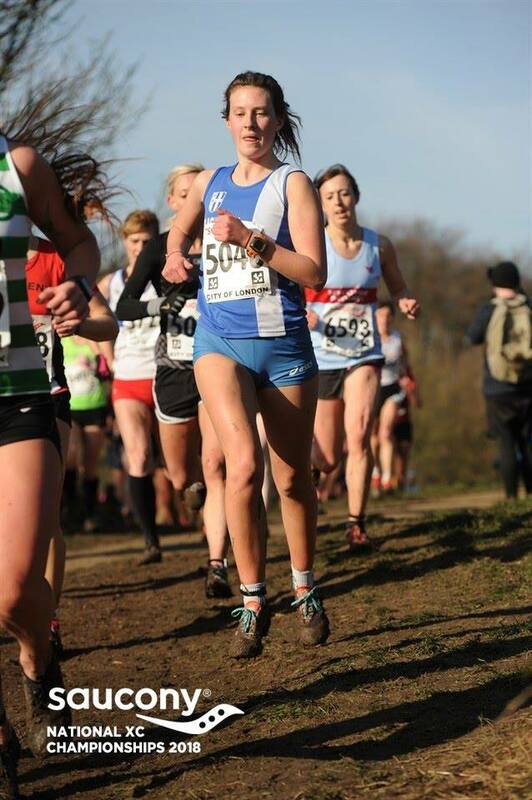 Katie said she “Really enjoyed my first senior nationals, it’s a great experience to be in such a huge field. 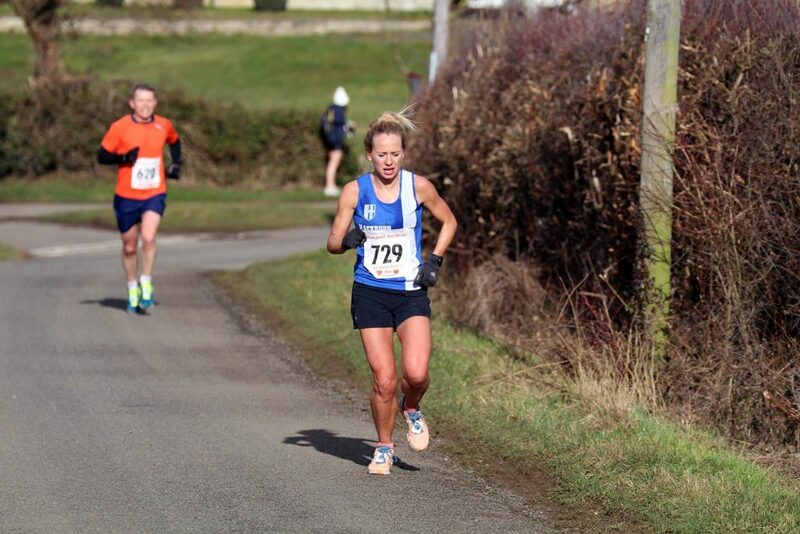 All the mud churned up by earlier races and the endless 8k of hills made for some difficult running – I can see why people call it a love hate course! 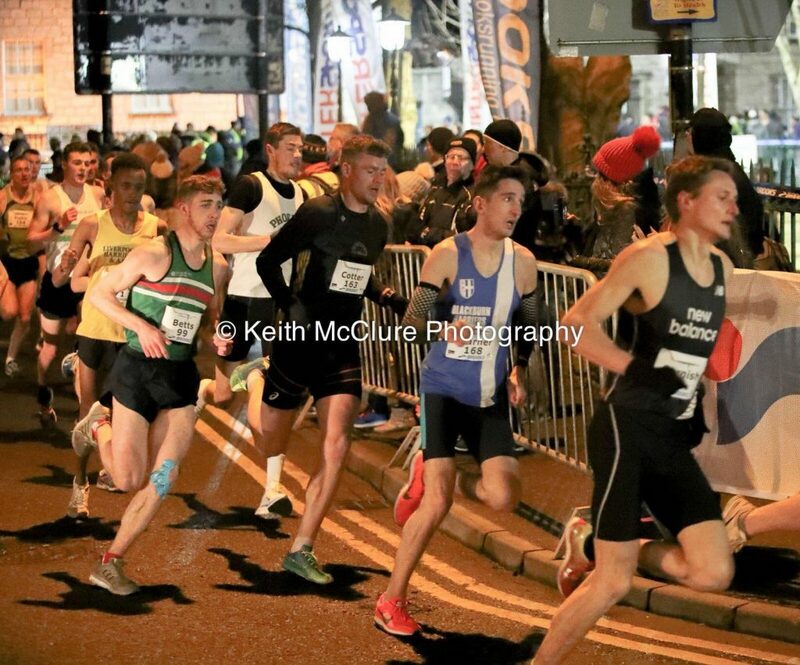 Shame about the lack of women but a great shift by all the guys”. 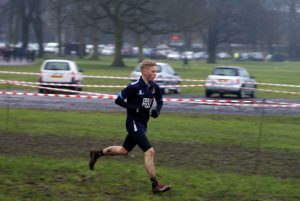 Less than twenty four hours after ‘finishing like a train’ at the National Cross Country Championships, Ben Fish ran the Thorpe Half-Marathon along with seventeen hundred and sixty two other runners winning it in a time of 69.06 – a minute and a half in front of the second placed athlete, Kojo Kyereme and Russell Bentley in 3rd. 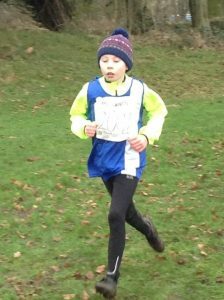 Ben is an On Ambassador and ran the Race as part of their programme commenting after the weekend that he “just went into the race with an open mind. 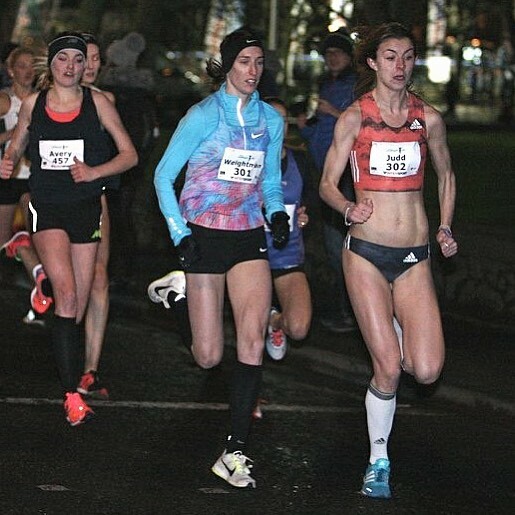 I figured if I ran hard on heavy legs it would be a good indicator to a halfway split for the marathon. 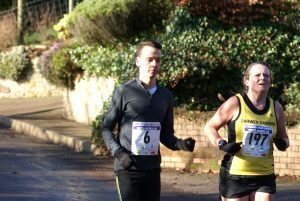 Good event and I pulled away from fellow On Ambassador Kojo Kereme after 5 miles to win by just over a minute”. 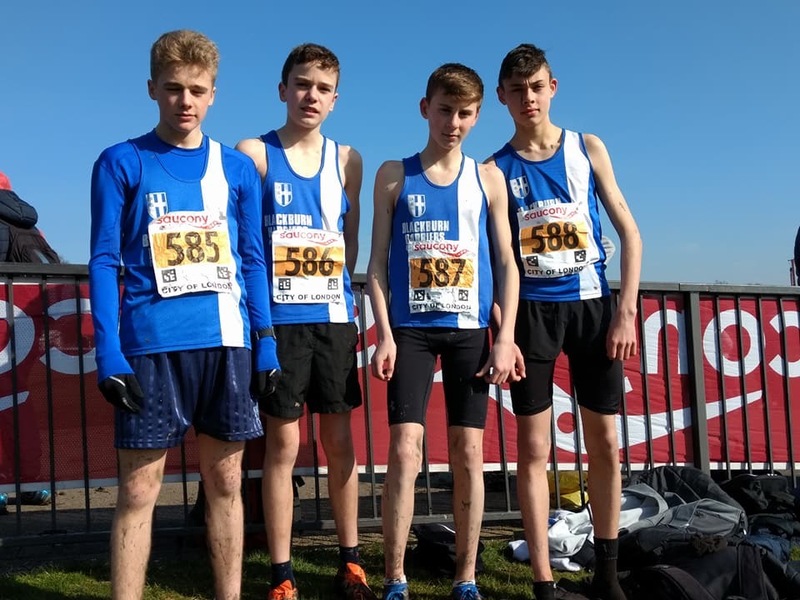 After winning Bronze at the Northern Cross Country Championships in January, the U15 Boys team of Matt Ramsden, Sam Hodkinson, Harry Wilkin, Jamie Teare and Leon Thomas went to the Nationals confident of another good performance. 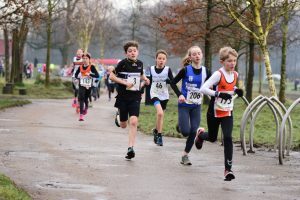 The Race featured 52 Teams and 504 four athletes which saw the Harriers finish 10th Team overall and 1st Northern Club which was a great result. 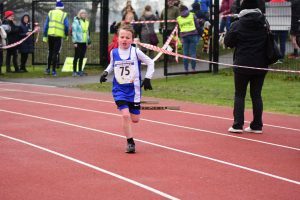 Matt Ramsden who had lost a month of training at the Christmas period is getting back into his stride, had a tremendous run to place 27th overall in a time of 16.17 and just six seconds away from claiming a top twenty place. 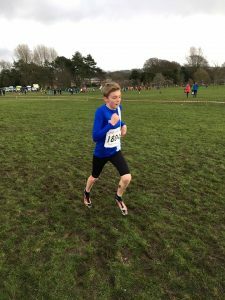 Just eight seconds behind, Sam Hodkinson also had a cracking run to come home in 34th place in a time of 16.25 commenting that it had been “An amazing experience and a great day of running. 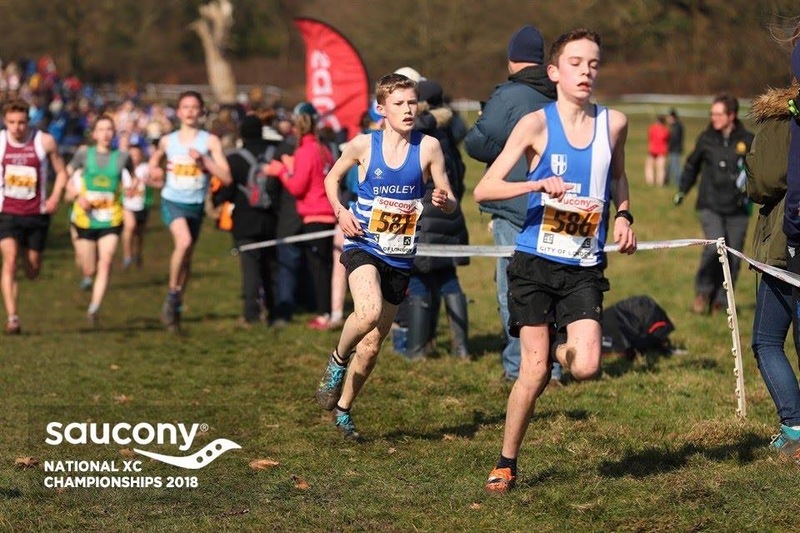 We are all pleased with how we ran and are hoping to keep this up for upcoming events.” Next home came Jamie Teare in 186th place with a time of 17.51 with Leon Thomas close behind by one second in 189th (17.52). 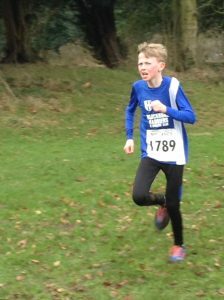 Harry Wilkin clocked a time of 19.58 to cross the line in 410th position. 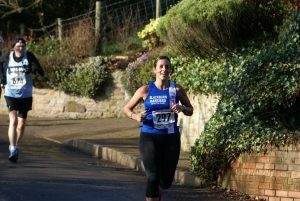 After the Race Jamie told the Club that it had been “Great conditions for the race. 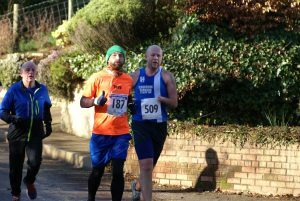 Enjoyed it even though the start took a lot out of me. 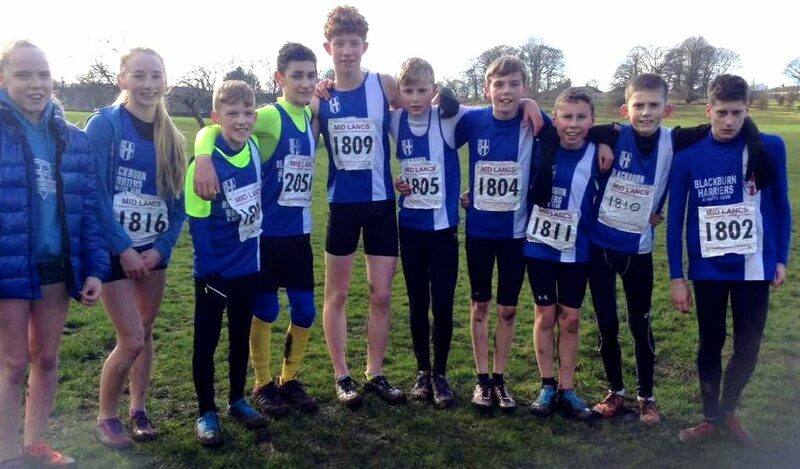 Glad the team did well, Top 10 and also the highest placed Northern team! 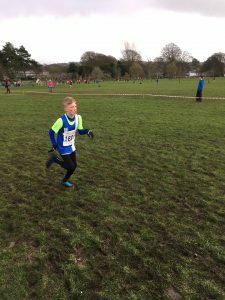 Well done to all the Harriers that competed” whilst Harry commented that it had been a “great venue to run at and I’m pleased with a strong finish considering I’ve been out of training for a short while”. 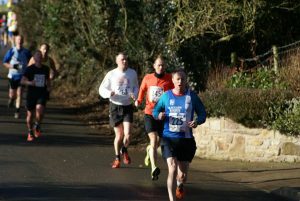 The ever popular Lostock 6 took place on Sunday February 25th attracting three hundred and forty two runners in a Race which was won by Jonathon Kay in 29.57. 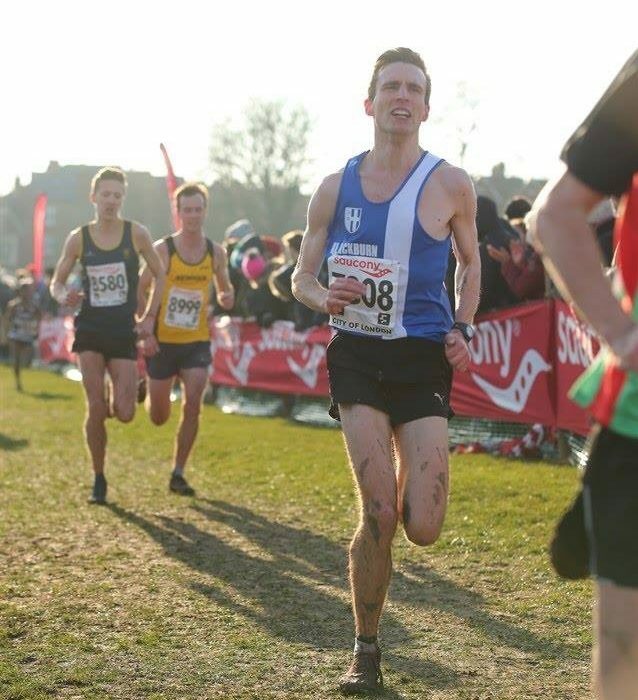 Ben Costello who had hist first ever race for the Harriers in October 2016 has really progressed in the eighteen months since and his latest outing demonstrated that with a 7th place finish, clocking 32.47. 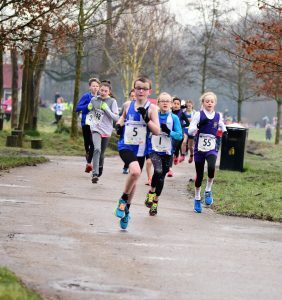 (RESULTS) Ben was pleased with his run and told the Club ”With having Trafford 10k next week I just needed a race to see where I am at and what type of shape I am in. 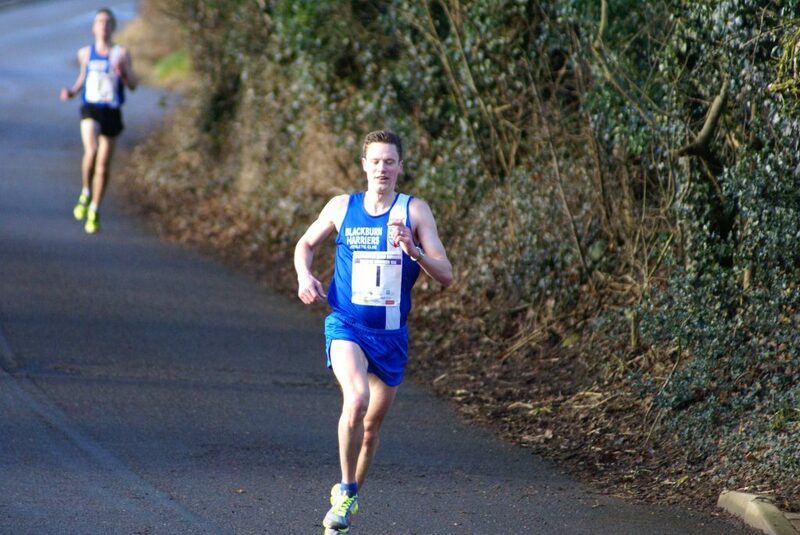 Judging from todays performance i am in good shape again after a few bad months of running and training not quite going to plan. 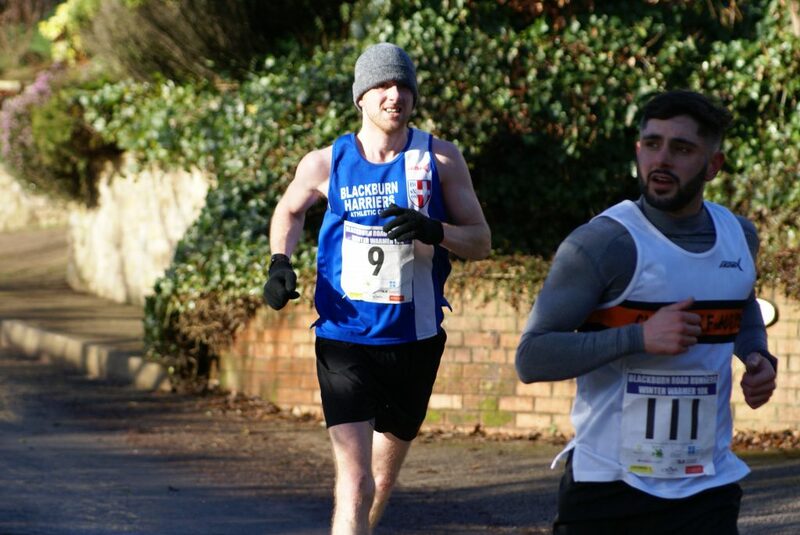 Glad to be back running pain free and it’s time for me to proper push on this year now”. 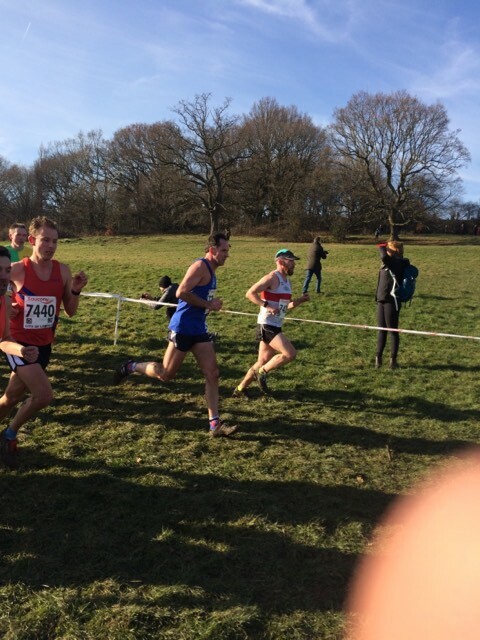 Good to see V50 Martin Kerry out in this race too as he finished in 80th place with a time of 42.09 along with V50 David Morris who came home in 320th (61.54). 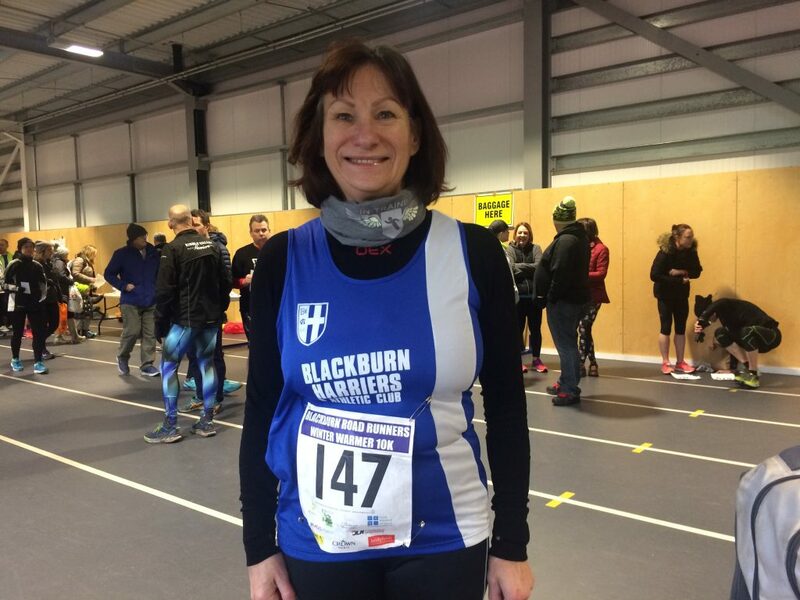 Four Blackburn Harriers went to the latest fixture in the Sale Harriers Winter Indoor Series, all held at Sportscity and came back after contesting six events with five new personal bests. 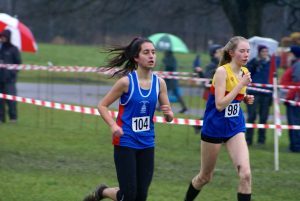 U17 Aysha Karolia set new personal best in the 60m placing 5th in a time of 9.01, down from her 9.05 clocking at the previous fixture and made it a double new PB on the day by three tenths, running a time of 29.54 in the 200m to finish in 2nd spot. 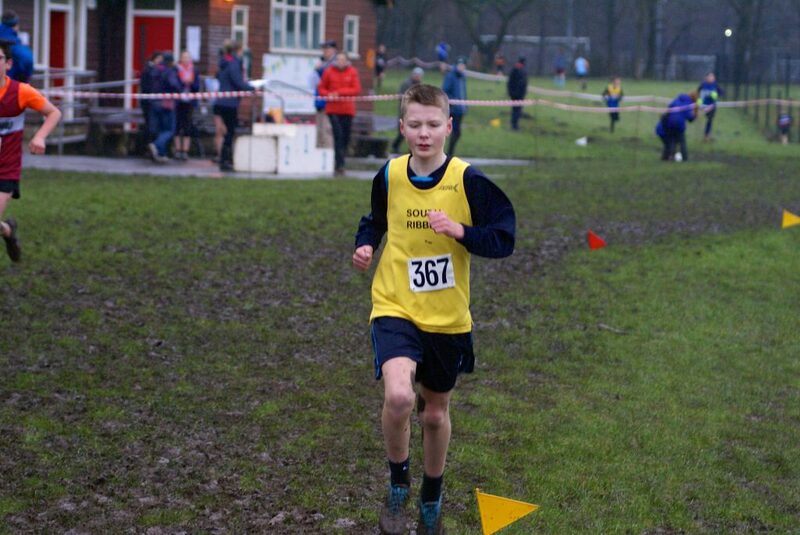 Solomon Brown (U20) also ran the 200m to post a massive new PB of 25.32, placing 3rd in the race. 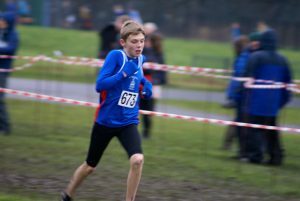 U15 Ben Boocock continues to improve his times over the Winter Indoor Series with his latest outing in the 60m Hurdles saw him come home in 3rd position with a new PB time of 9.93 – down from his previous best of 9.98. 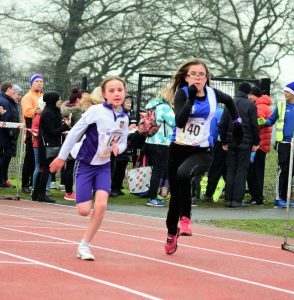 U15 Myah Booth won her 60m Hurdle Race in a new personal best time of 9.57 and then went on to take 2nd in the Shot out of fourteen athletes, throwing 9.40m. 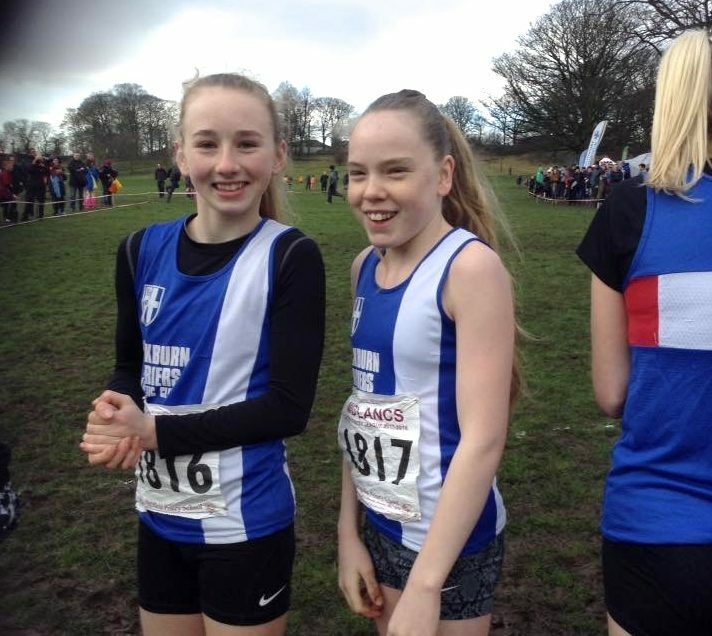 After the fifth fixture of the Mid Lancs Cross Country League and with one to go up at Ulverston in March the Harriers are well placed to pick up Team Medals at U11, U13, U15, Senior Women and Vets Categories. 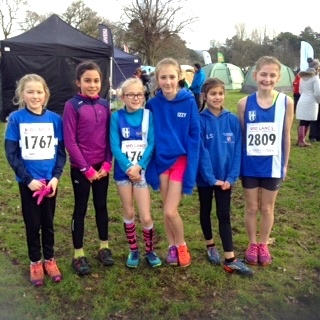 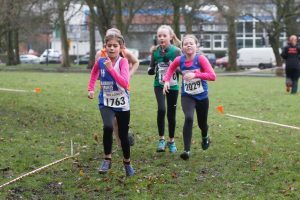 The U11 Girls are lying in 2nd place overall and finished 5th on Saturday, the girls being led home by Hannah Davies in 18th out of the sixty four runners in a time of 8.22 with Imogen Robinson just behind in 16th place (8.28). 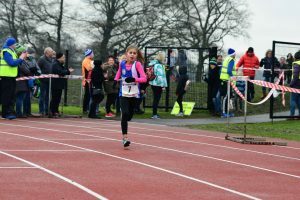 Next across the line came Isabelle Hartley in 32nd (8.51) followed home by Amelia Burton in her first competitive race for the Club in 35th clocking 8.54. 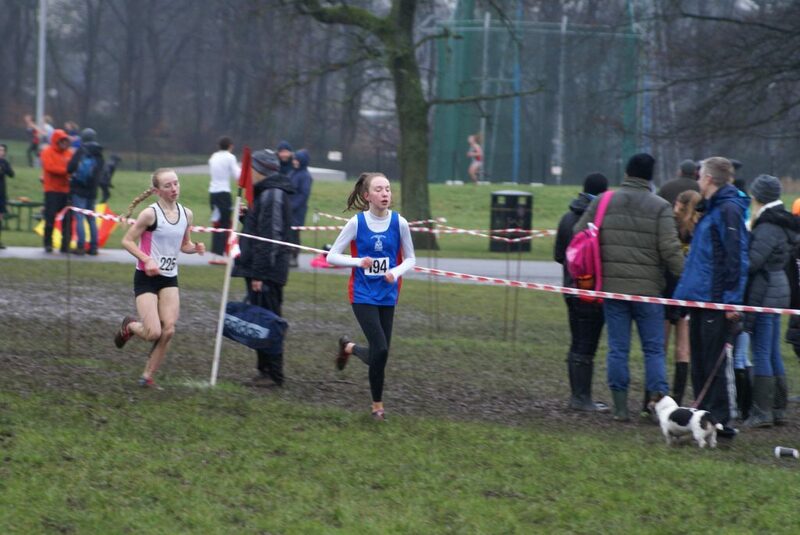 Then came Ayesha Vose in 47th place (9.27) and Lulu Sharp finishing 53rd in a time of 9.51. 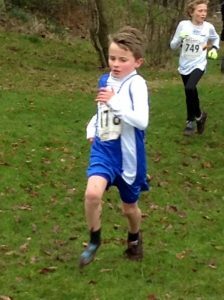 Our U11 Boys Team are in second place in the League following this fixture where they finished 3rd team overall on the day. 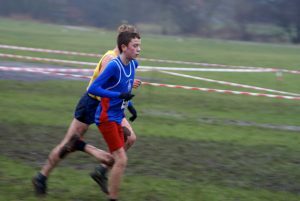 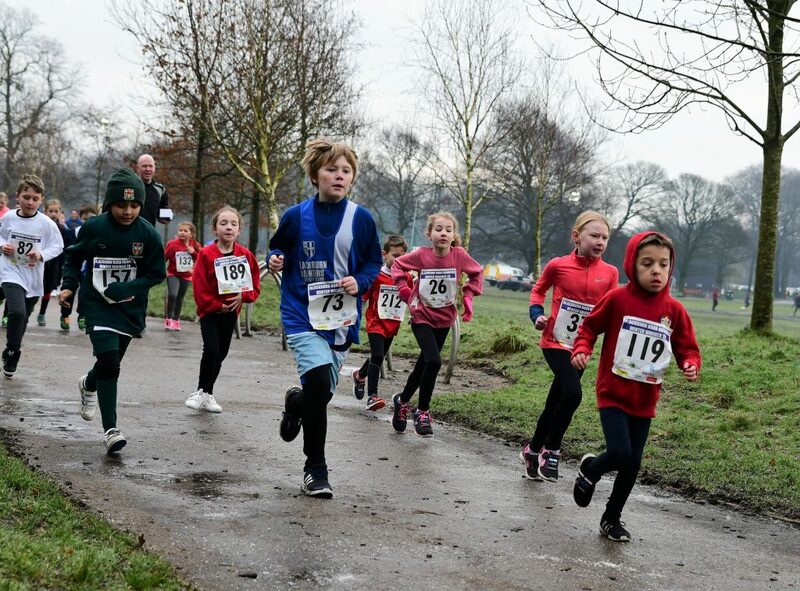 Seventy four youngsters contested the Race – fourteen of whom were Blackburn Harriers. 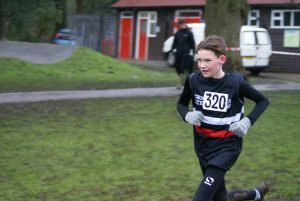 ‘Pocket Rocket’ Sam Aspey led the lads home in 8th place (7.23), Daniel Smith was one place and four seconds further back in 9th (7.27) with Matthew Smith in 14th posting a time of 7.36. 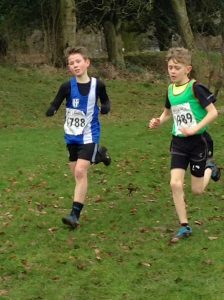 One second and one place separated Oliver Gill in 23rd (7.51) and William Grundy in 24th (7.52). 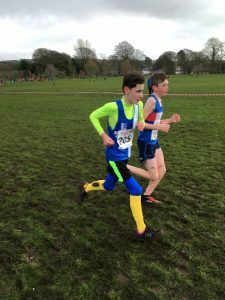 More good packing from the lads saw Harry Sambrook run a time of 8.00 in 30th position, the same time as George Ramsden in 31st, also 8.00 and Harry Russel in 32nd clocking 8.06. 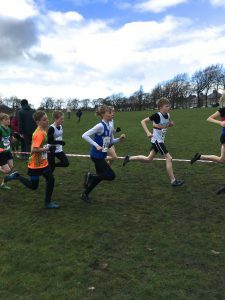 Charlie Haworth was next home in 37th with a time of 8.12 and he was followed in by Findlay Carroll (44th) in 8.23, Alexander Brien running 8.48 in 61st, Daniel Brotherton (68th) and George Holman 69th both running the same time of 9.13 and Sam Craven in 74th place with a time of 10.47. 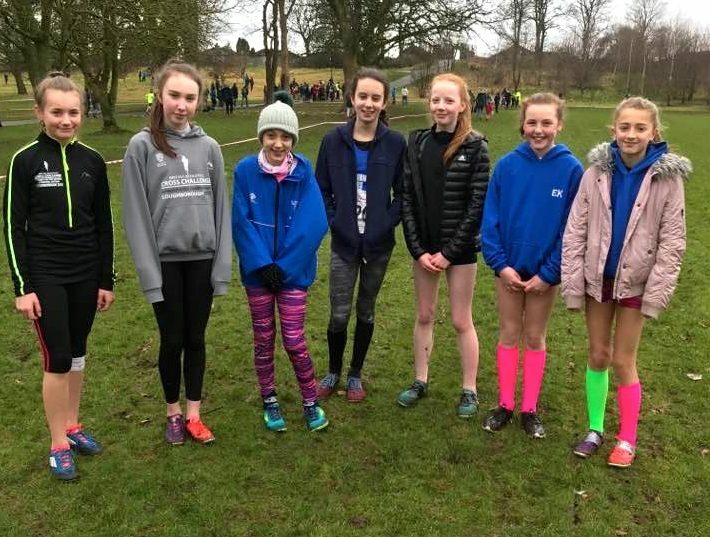 The Harriers U13 Girls are still in 1st place even though they finished 4th on the day which saw Leah Hoole lead the girls home in 12th place (9.18) supported by Hollie Cubbon in 19th spot with a time of 9.30, Kate Cookson in 25th clocking 9.44, Keira Haxton 27th in a time of 9.47 and Caroline Woodworth in 28th (9.48), Eva Knowles (50th) in 10.51 and Libby Neal finishing in 60th spot recording a time of 11.34. 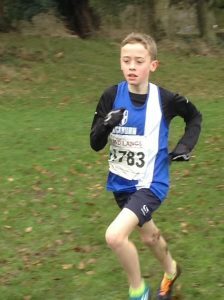 One of the highlights of the day was the win of Isaac Butler in the U13 Boys Race featuring sixty runners. 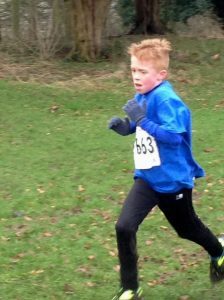 Isaac won by seven seconds in a time of 10.57 from Tobias Swarbrick in 2nd. 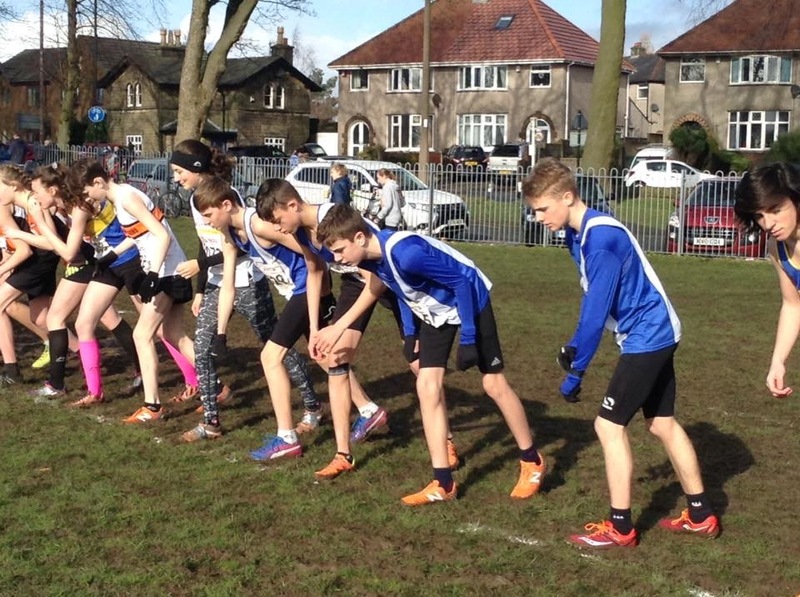 Going into this fixture in 2nd place, the lads consolidated that position with a 2nd placed finish in the Team competition. 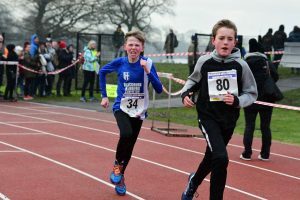 In 9th and 10th came David Holman (12.05) and Hayden Mercer (12.08) and they were backed up by Kyle Taylor-Pomfret in 14th with a time of 12.22, Rory Teare in 22nd (12.48), Codie Dewhurst, another young athlete who continues to improve in 24th (12.51), Saul Sharp running a time of 13.09 in 32nd place and Sebastian Burton 13.23 in 35th position out of a sixty strong field. 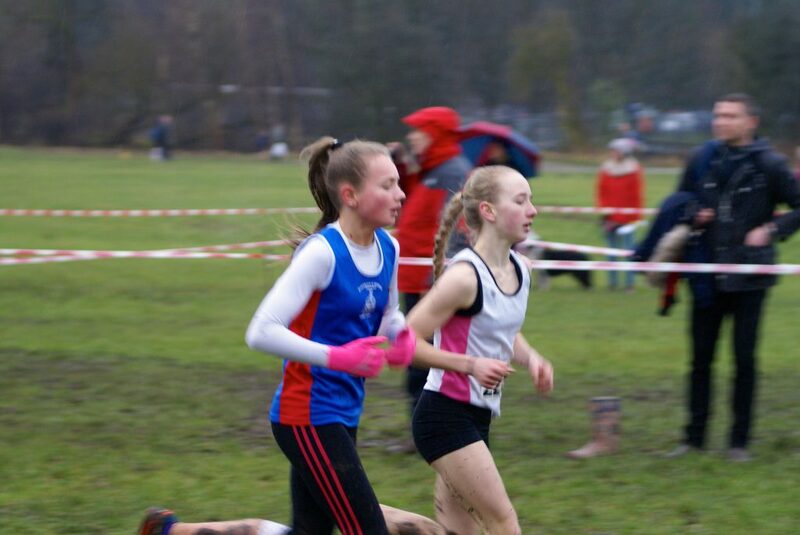 Only two girls out in the U15’s which saw Amy Davies place 6th in a time of 12.58 and Eleesha Charnley 7th clocking 13.05. 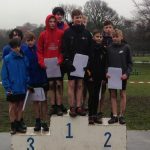 The U15 Boys started the day in 1st place in the League and ended the day still in first place as they won the team event on the day from Kendal in 2nd and Helm-Hill in 3rd. 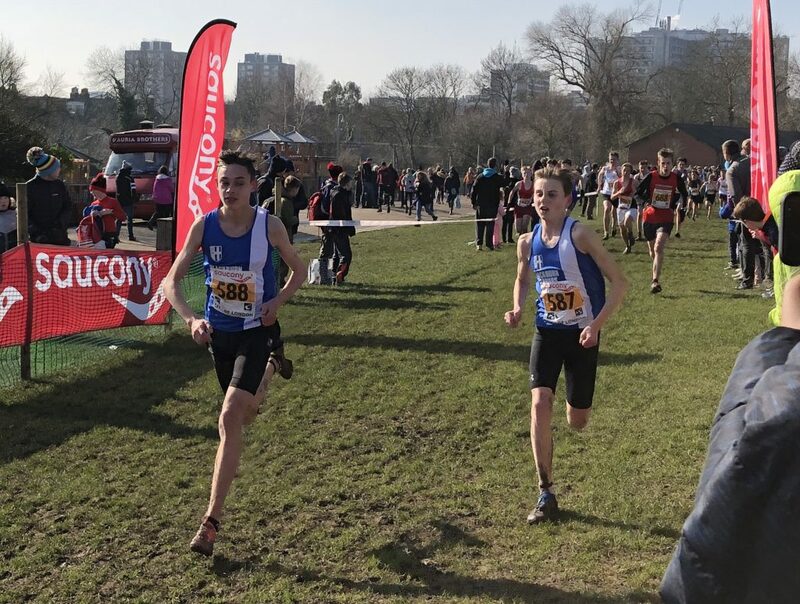 First home for the boys came Matt Ramsden in 3rd posting a time of 13.29, with Sam Hodkinson in 4th (13.34), Leon Thomas in 5th (13.35) and Jamie Teare in 11th place with a time of 14.23. 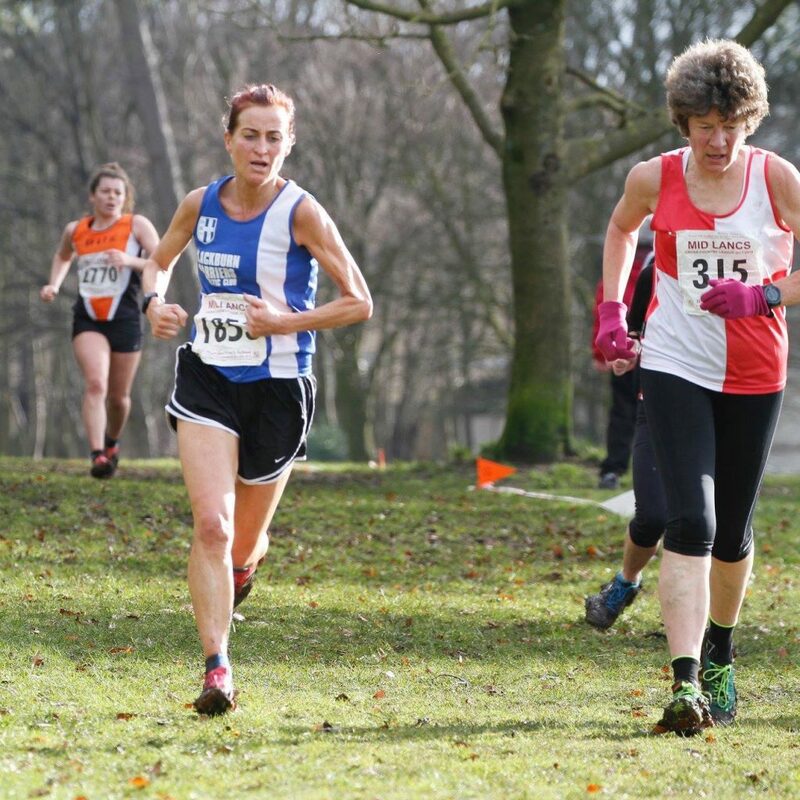 After three wins and a 2nd in the previous four races, the Harriers Senior Women were on top of Division 3. 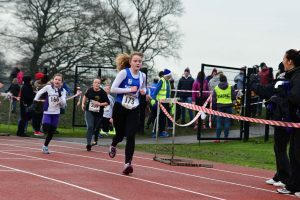 On Saturday there were just two Senior Women competing – Joanne Nelson and Lindsay Davies but the Senior Women’s Team were still in 1st position at the end of the day. 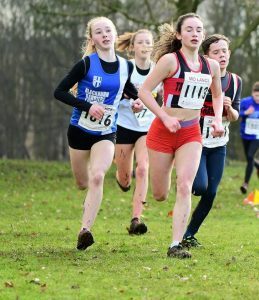 Joanne had another great run finishing 7th overall out of one hundred and twenty nine runners (23.55), was 1st V45 and 1st Vet overall in the Race won by an U20 Scarlet Dale. 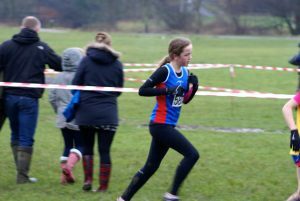 Lindsay had her best race so far in the Mid Lancs with a very good 29th place in a time of 27.51. 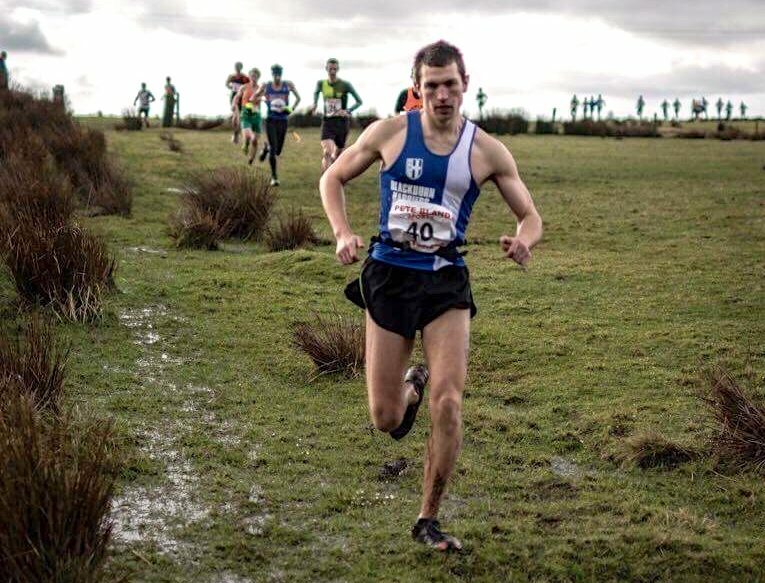 In the Senior Men’s Race, there was an excellent finish from Chris Davies taking 8th place out of one hundred and seventy eight in a time of 34.27 which won him the V40 category and 1st Vet overall on the day. 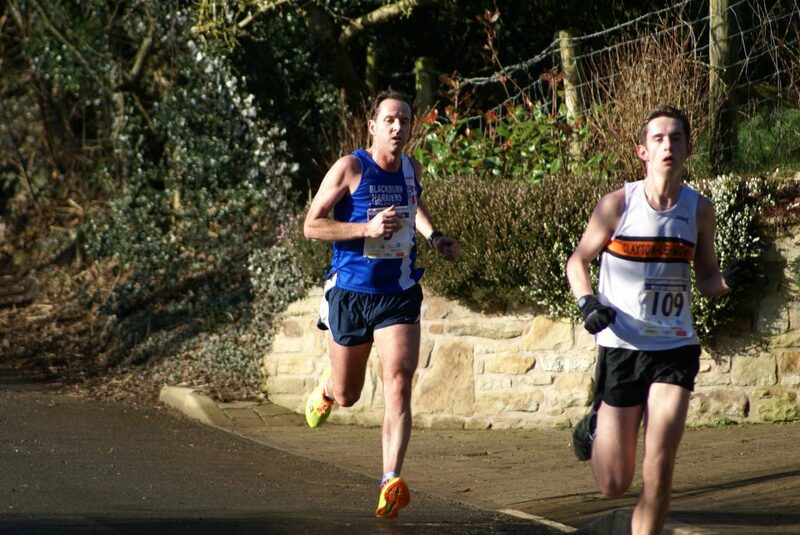 Mark Chippendale came home in 25th place clocking 37.06 and Craig Greenough ran a time of 47.07 for 137th spot. 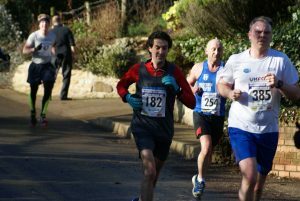 Derek Reilly was also on the comeback trail after a period of injuries and took on the Windy Hill Race on February 10th which saw two hundred and three runners complete the course. 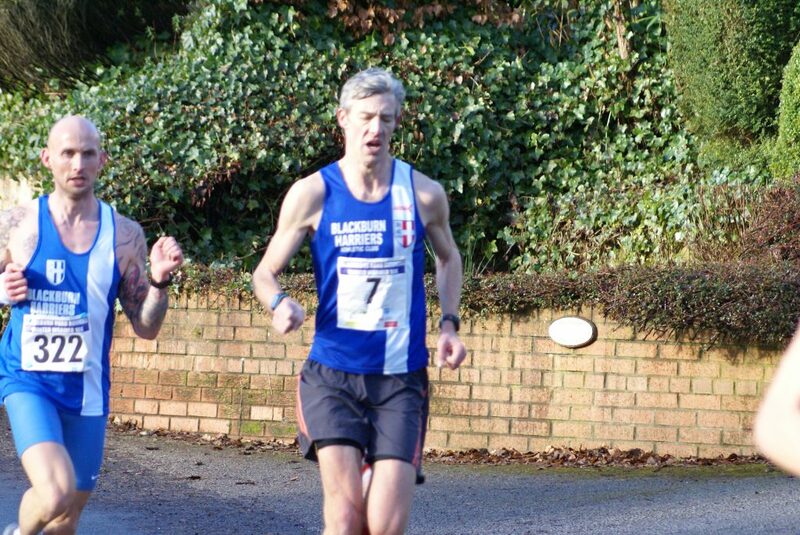 Won by Shaun Godsman in a time of 61.57 – Derek finished in 14th spot with a time of 69.37 and 2nd V45. 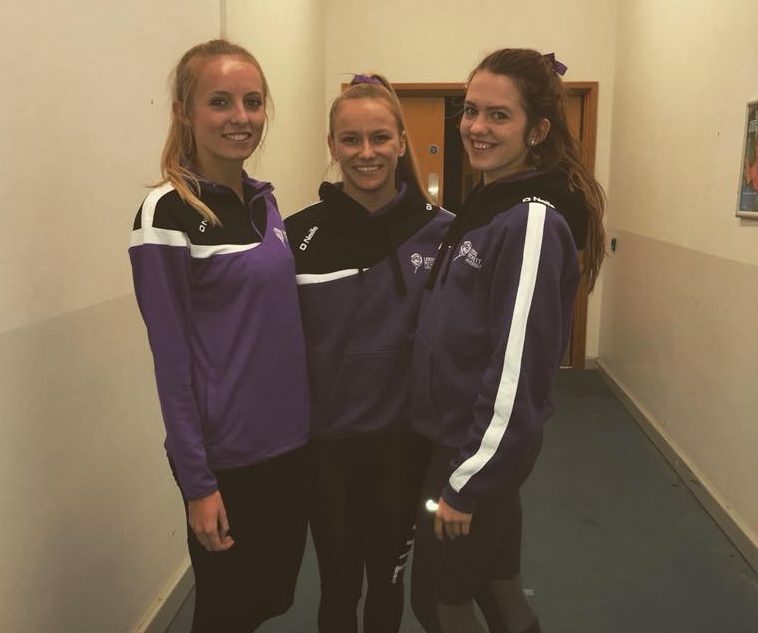 Four Blackburn Harriers competed in this years Bucs Indoor T & F Championships held at the EIS in Sheffield. 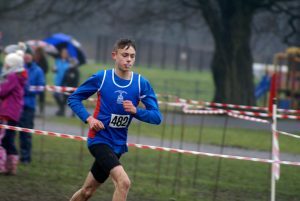 Great to see Joe Pearse back out in the High Jump after a nightmare injury year in 2017, his last competition being the BUCS outdoor championships in May 2017. 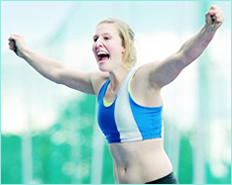 Joe qualified from his heat with a clearance of 1.93m and went on to clear 1.90m in the Final for 9th place. 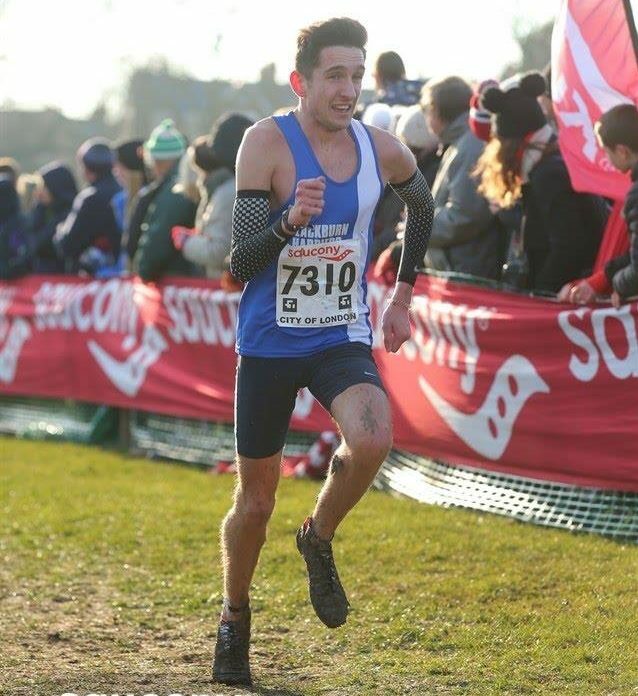 Joe was just pleased to be back in competition and told the Club that “It is so great to finally jump again, for me it was an achievement to even be at BUCS having only had one high jump session prior to the comp after being out with an injury since last May. 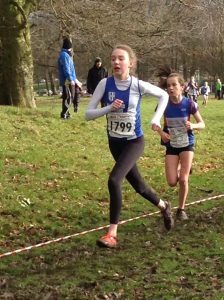 There are lots of promising signs and although I was disappointed with the result I was just to tired to jump higher after qualification. 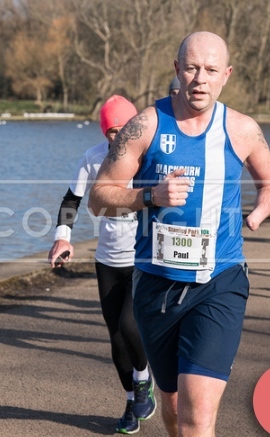 Hopefully now I can work on reducing the pain in my ankle and getting back in shape”. 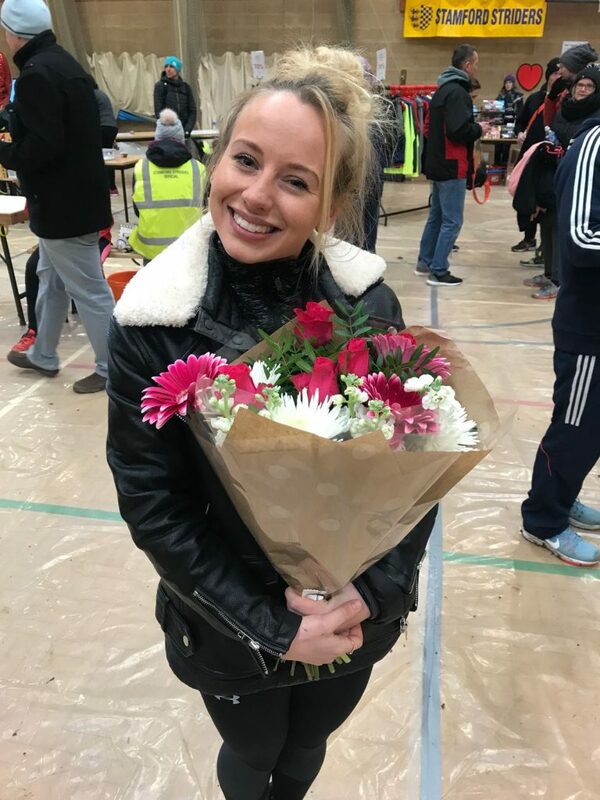 Morgan Angland was also contesting the 60m Hurdles but suffered a DQ for a false start. 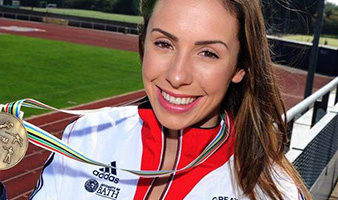 These things happen as they say and something that she will learn from as she commented to the Club afterwards. 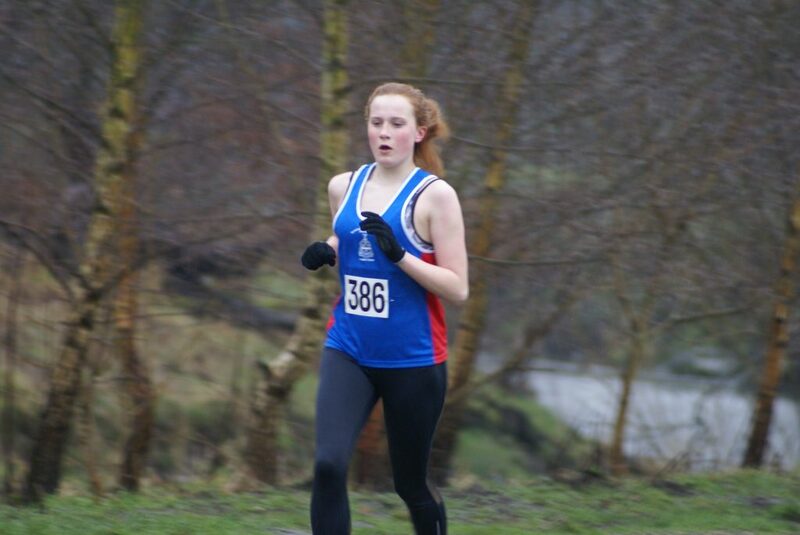 Overall it had been “a really good experience at my first BUCS. 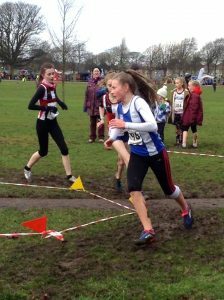 Really disappointed with my performance since I false started in my hurdles and got disqualified. 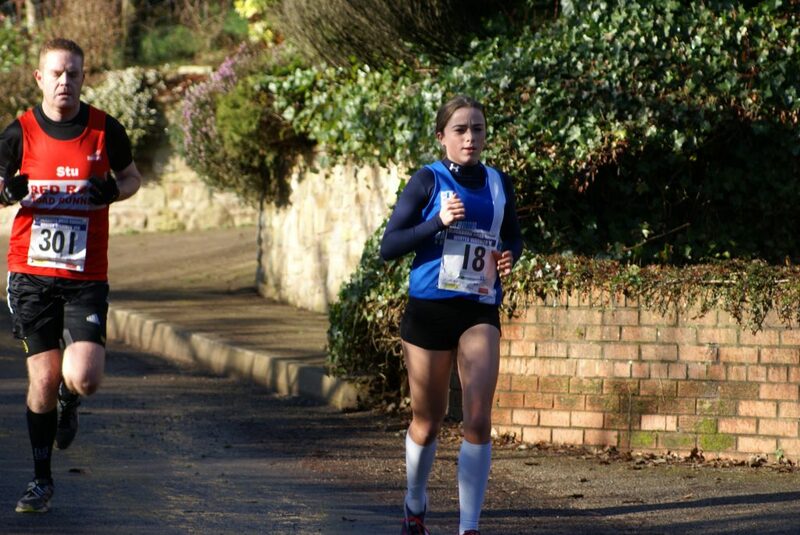 But I will learn from it and hopefully do a lot better in outdoor BUCS”. 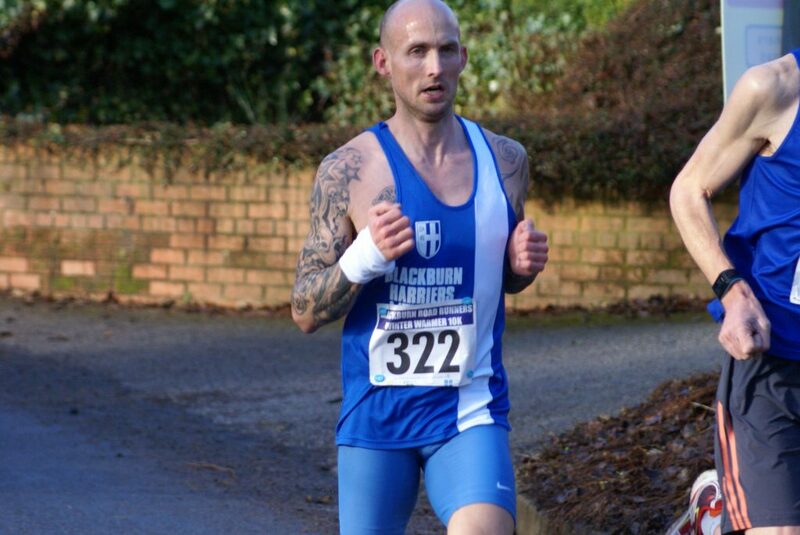 Three hundred and nine runners lined up for this local 5k Race won by Michael Cayton in a time of 15.41, just one second in front of 2nd placed Jonothan Kay. 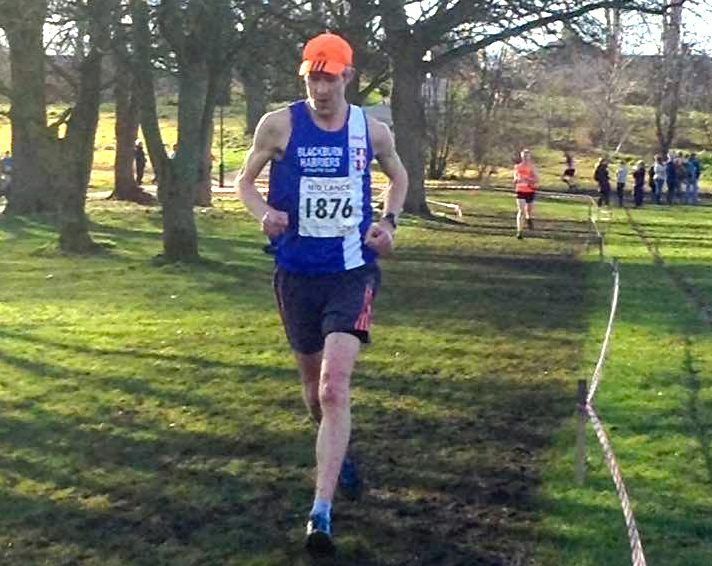 Mat Nuttall had a good run to come home in 10th place overall in a time of 17.31 which saw him win the V45 category. 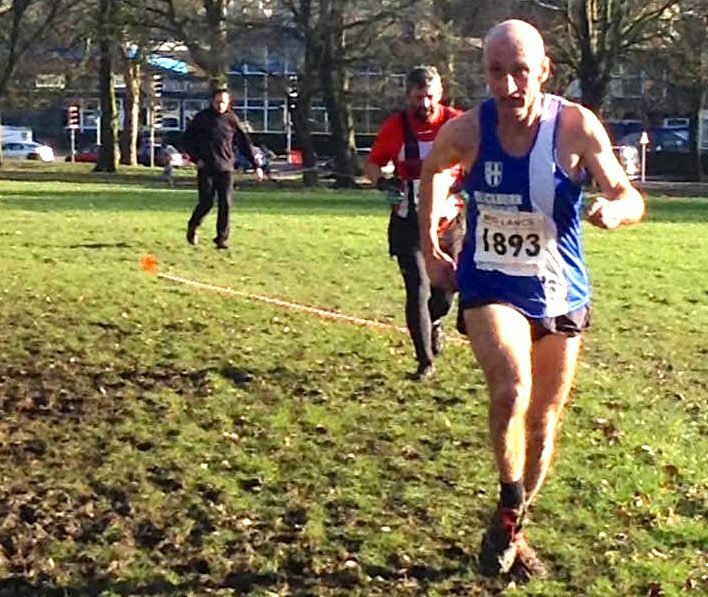 The Harriers Senior Team Manager – Paul Guinan also had a solid run (18.39) for 25th place overall and 3rd V45. 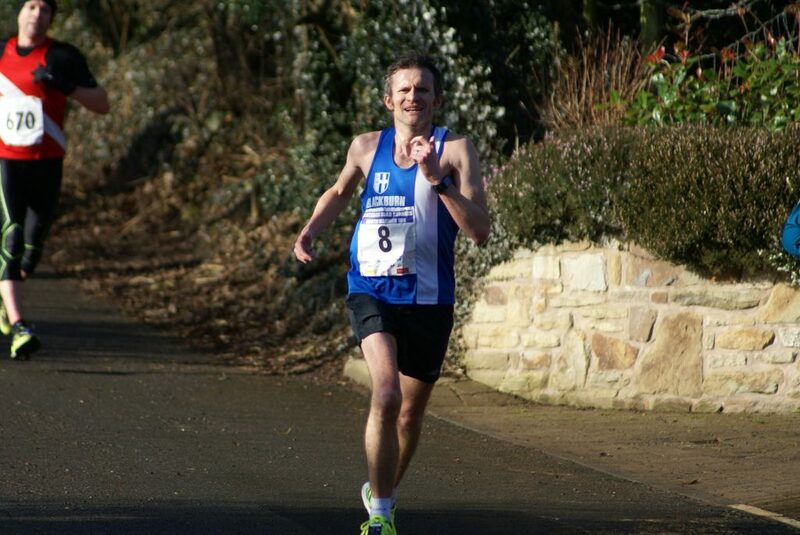 This Race saw twelve hundred and twenty one complete the event which was won by Paul Fausett of 74.34. 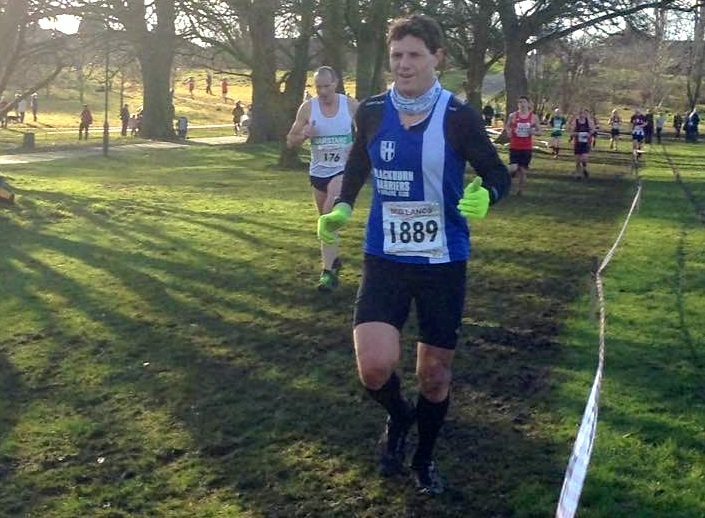 V50 Jonathan Bridge flew the flag for the Harriers crossing the line in 40th position overall, clocking a time of 84.38 and 2nd V50. 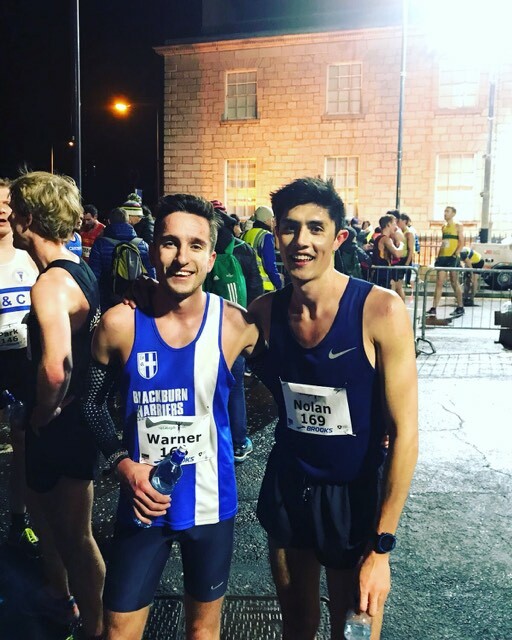 Rob Warner ran his first 5k Road Race in August 2013 in the Sale Sizzler coming home in a time of 16.00 and 17th overall. 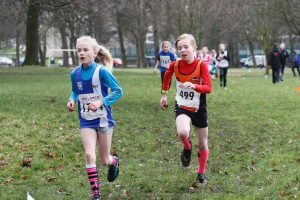 Some athletes believe that success in middle distance and endurance running can come quickly and make the mistake of believing that they can have almost ‘immediate success’. 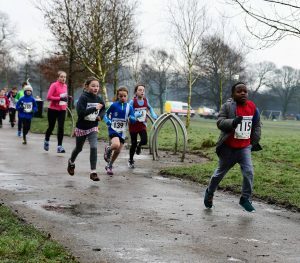 All the evidence is to the contrary. 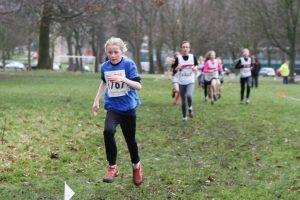 A sustained period of training years is the bedrock for all success in these events. 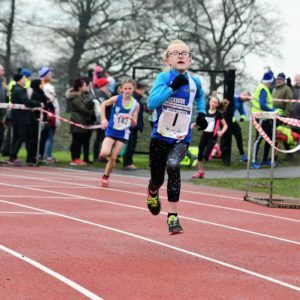 In the last two years, which demonstrates how much sustained training has to be put in over a period of years, not months, Rob has gone on to set new personal bests at 800m (1.55.50), 1500m (3.49.12), 3000m (8.24.48), 5000m (14.36.21), 10000m (30.46.13) and 10k on the road of 31.00. 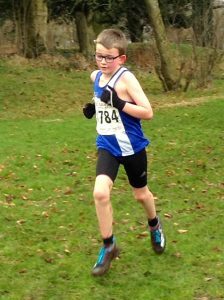 He has now added a new PB over 5k on the Road clocking 14.49 in Armagh on Thursday evening (16th February). 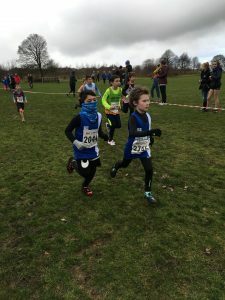 These achievements are a great credit to him. 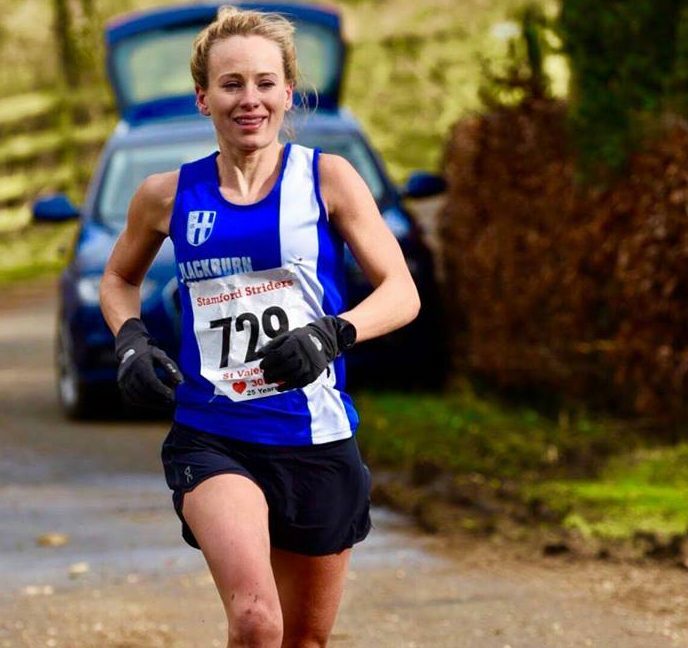 Rachel Wood in training for this years London Marathon, entered the Stamford 30k Road Race as part of her preparation and what a great run she had, finishing 38th overall out of six hundred and nine finishers and 1st Woman in a time of 2hr 04.6. 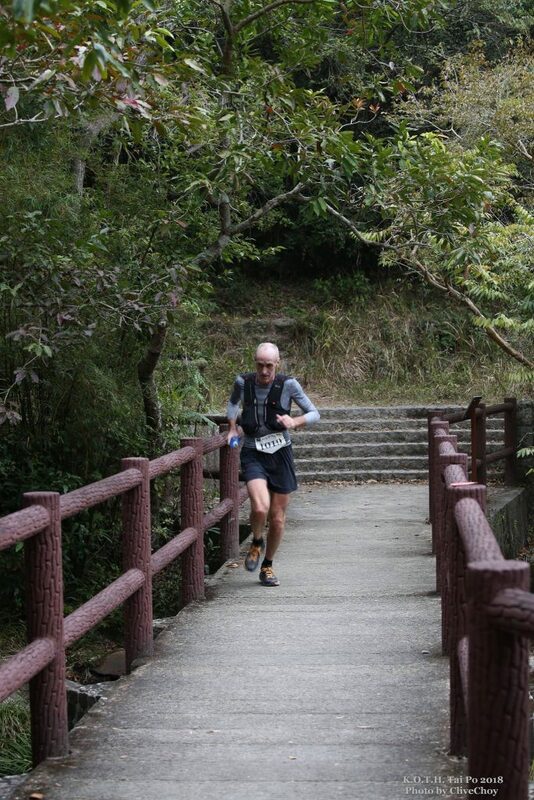 Bob Shorrock was out in the final Race of the 2017 – 18 Mountain Marathon Series held in Hong Kong and known as the King of the Hills, this one being held in Tai Po on February 4th. 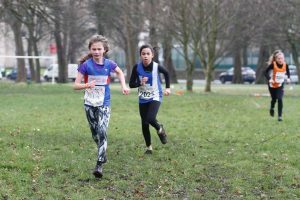 Previous race were held In Hong Kong Island on 26th November 2017 with the second in the Series being held on January 7th in Lantau. 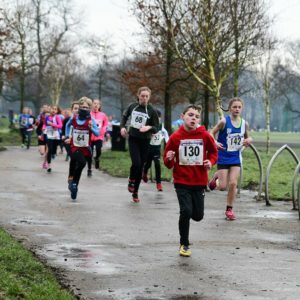 This Race featured one hundred and ninety four runners over a distance of 50k which saw one hundred and eighty eight complete the Race. 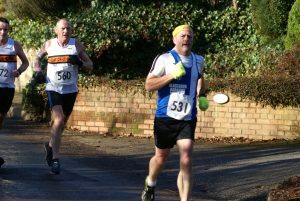 The winning time was set by Jeff Campbell (3hrs 36.16) with Bob coming home in 4th place overall and 1st V55 in a time of 3hrs 53.00. 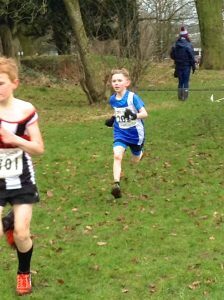 Bob won Race 2 in the Series and moves on to final Race on March 4th where he will be hoping to clinch the Series. 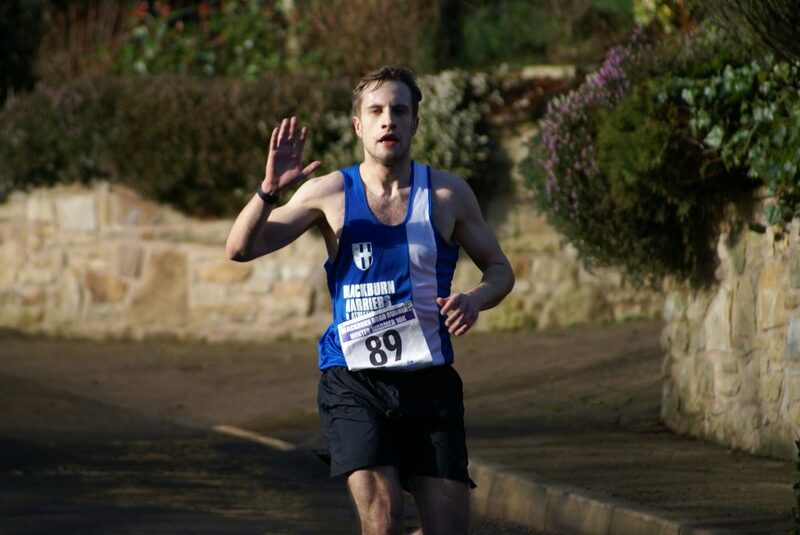 Bob spoke to the Club about the Races saying that he “Had 2 good runs so far this season on KOTH. 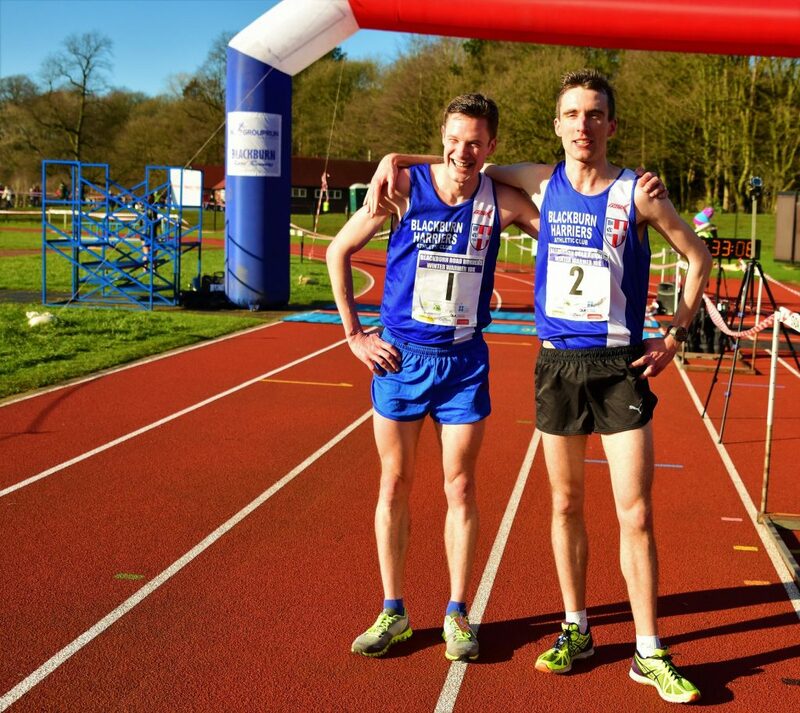 Need a 3rd one on 4th March to wrap up the series. 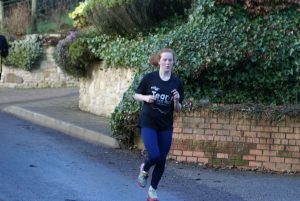 My training has been reasonable but my racing better than expected – running as fast as three years ago, which is great. 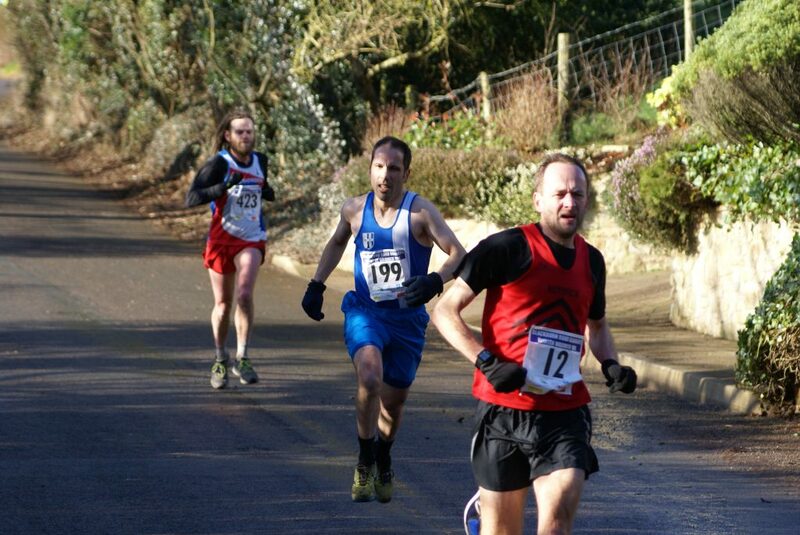 Just really enjoying being out on the hills and racing against some good friends. 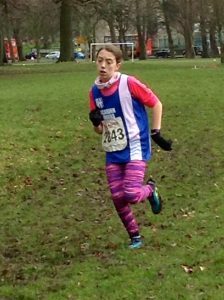 Best wishes to all at the Harriers”. 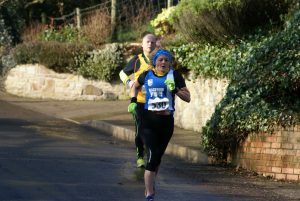 The annual Winter Warmer 10k attracted another sell out on Sunday with six hundred and thirty six runners completing the Race in really very good conditions for road racing. 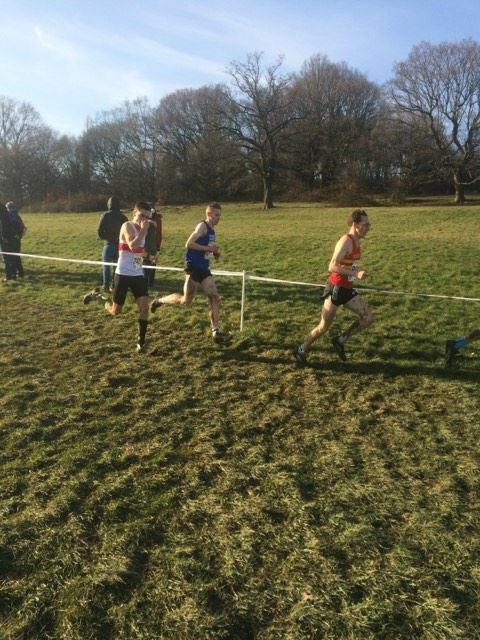 It turned out to be a very good day for the Harriers as Ben Fish won the Race in a very swift 31.58 with Tim Raynes in 2nd place clocking 32.30. 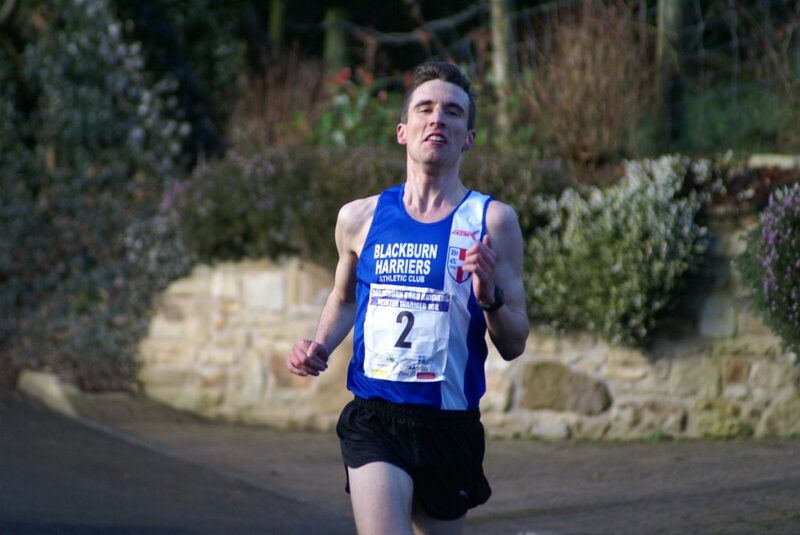 Six, seven and eight were all Blackburn Harriers – Chris Davies coming home in a time of 34.48 to take the V40 1st Prize – Ian Dixon was next home in 7th place (34.58) – Mat Nuttall crossed the line in 8th spot (35.06) winning the V45 1st prize. 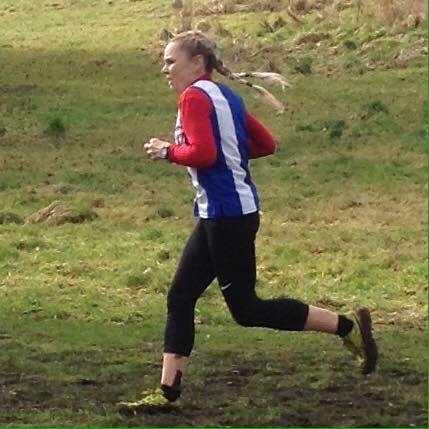 The Harriers also took the 1st Team Prize which made it a pretty good day all round for the Club. 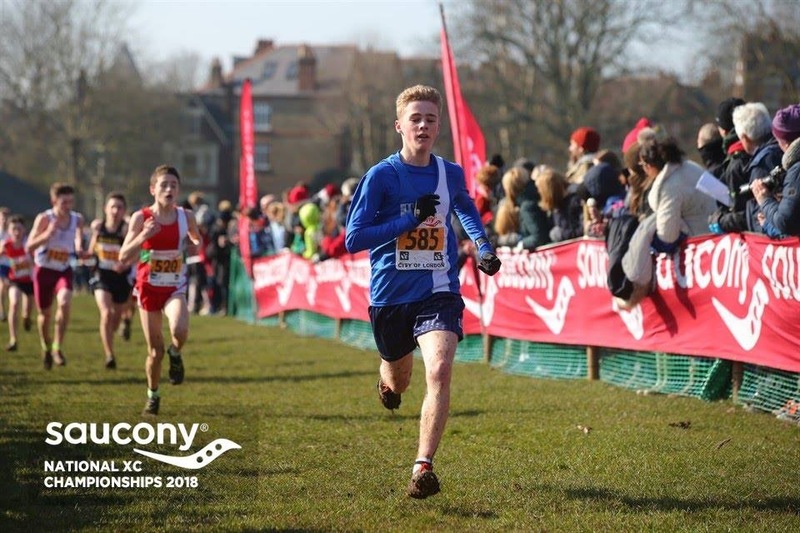 New member Joshua Holgate had a great run on his debut outing for the Harriers coming home in a time of 36.06 in 12th place and given the nature of this course, there is clearly a faster 10k time awaiting. 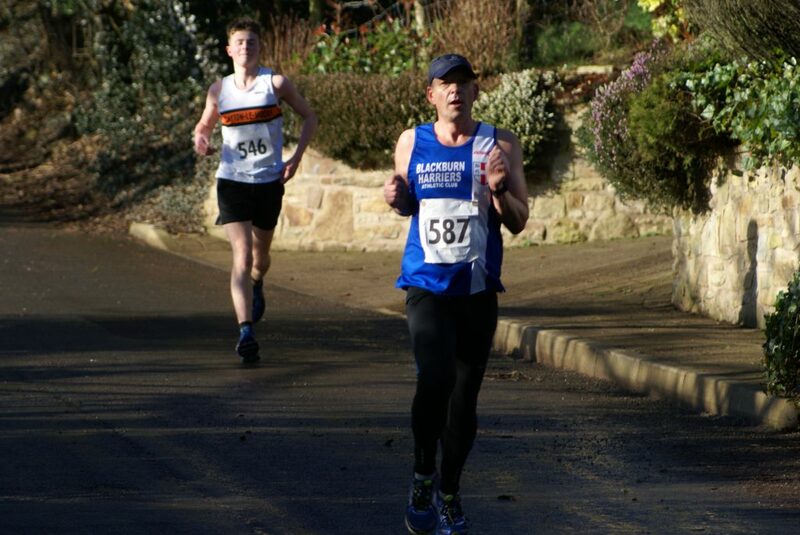 Another new member – V45 Gary Vose – also had an excellent run coming home in 14th spot with a time of 36.35 and he was followed home by Ben Costello in 20th (37.51). 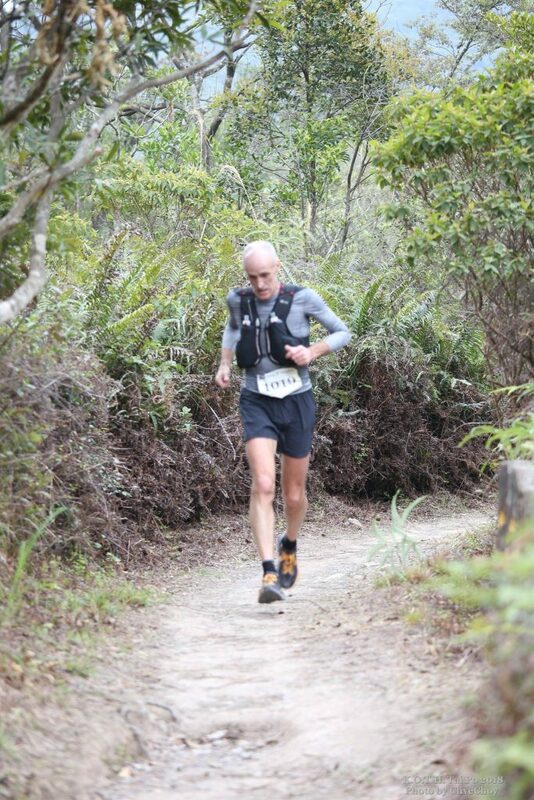 Paul Guinan took 26th position clocking 38.17 with Paulo Sousa in 30th (38.44). 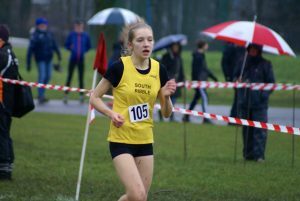 V40 Daniel Whittaker was the next Harrier to cross the line in 75th running a time of 42.21 and followed in by U17 Maddie Elliott (98th) clocking 44.06. 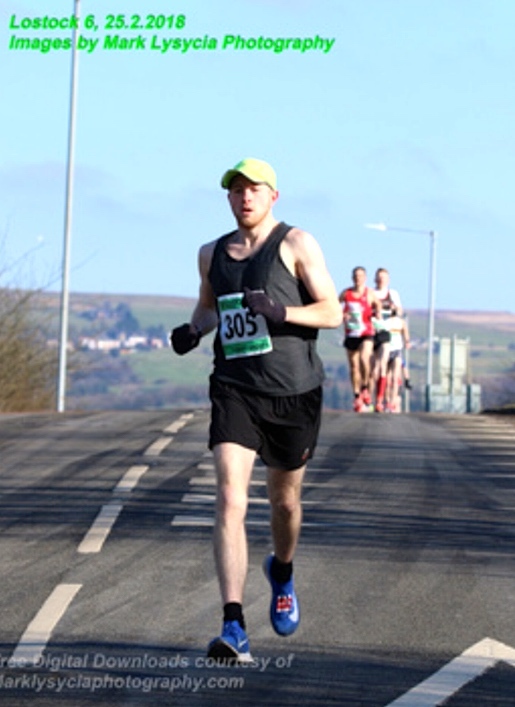 V60 Mike Blacklidge came home in 149th place in a time of 46.47 with Ian Clarkson (47.21) in 159th and Lindsay Davies running 47.26 for 163rd. 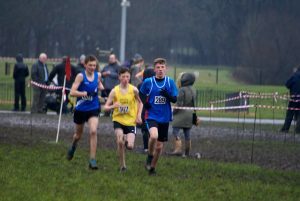 Next Home for the Harriers came V50 Mark Wilkin (176th) in 48.17 with Jacob Watson 180th in a time of 48.38 having an easy run out. 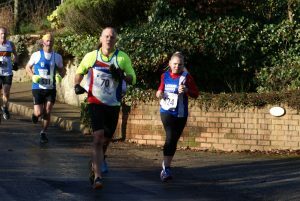 V45 Paul Wilkinson came 216th in a time of 50.02 and he was followed home in 246th place by Michael Nolan (V55) recording a time of 51.21, Charlotte Collin (352nd) in 55.57, Lorna Sharp (57.33) in 390th, V50 Clare Wilkin (453rd) in 61.09 and in 541st place – V60 Joyce Beck in a time of 67.12. 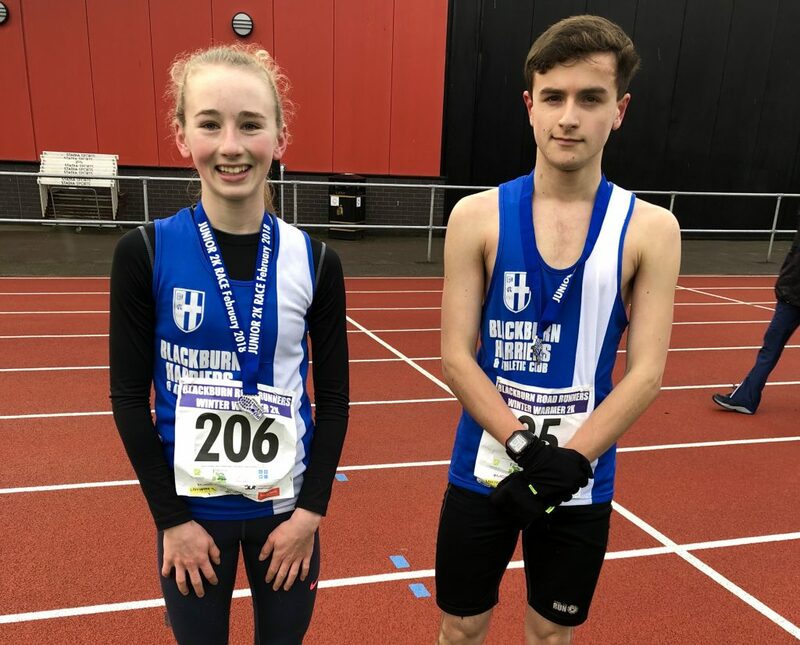 Loads of Blackburn Harriers youngsters also took part in the Junior 2k Run which saw Harry Wilkin and Eleesha Charnley make it a clean sweep with Harry winning the Race in a time of 7.22 and Eleesha 1st Girl clocking 7.55. 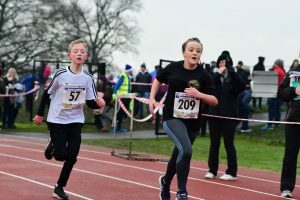 An impressive one hundred and eighty two youngsters ran in the 2k Race with sixteen of them belonging to Blackburn Harriers. 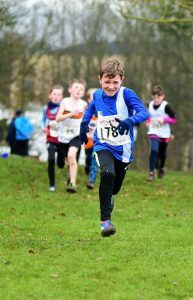 With Harry Wilkin taking 1st place and Eleesha Charnley 4th overall, the next Harrier to come home was the very consistent Daniel Smith in 7th place (8.06), followed by Oliver Gill in 9th (8.20), 8yr old Charlie Haworth (15th) running a time of 8.45, 9yr old Hannah Davies (9.15) in 20th, new member Amelia Burton 21st with a time of 9.16, 9yr old Charlotte Sousa (9.23) in 25th spot, another 9yr old Ayesha Vose (26th) running 9.24, 8yr old Lulu Sharp 42nd in a time of 10.04, Holly Sousa 43rd in 10.08, 7yr old Harry Smith (45th) in 10.16, sister 9yr old Emily Smith in 58th spot (10.38), Ella Hardman with a time of 11.01 in 72nd, Emily Snape (73rd) posting a time of 11.03, 9yr old Tippi Francis (74th), and running 11.11 and Harry Wilkinson in 83rd place (11.54). 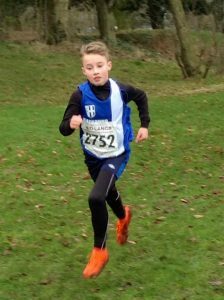 Another very good day for the Club at this years Lancashire Championships with the highlight being a win for Isaac Butler in the Yr 7 Race winning by 28 seconds in a time of 8.28 and running very strongly into the finish. 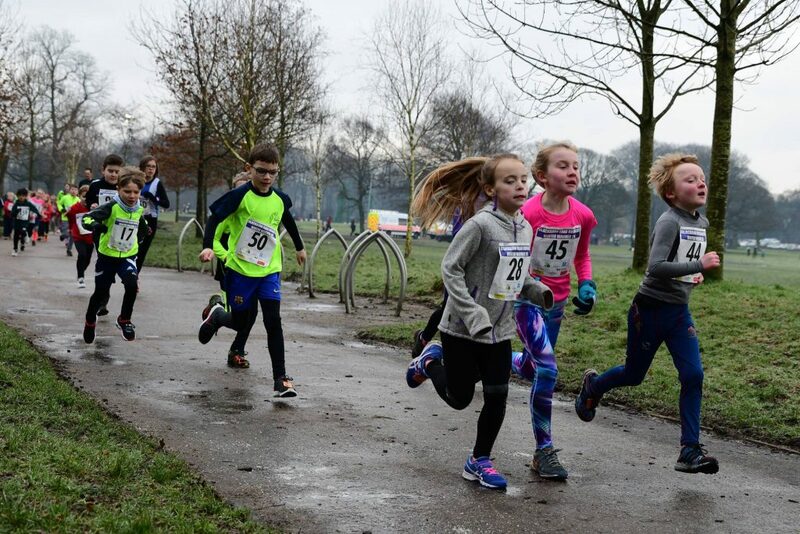 Next home came Dexta Thompson in 5th place (9.01), with Saul Sharp in 14th (9.38) and Codie Dewhurst – 28th out of the seventy four runners in a time of 9.51. 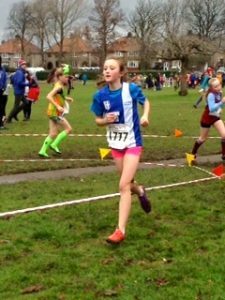 Good running too from the Yr 7 Girls which saw Kate Cookson place 3rd in a time of 9.39 with Caroline Woodworth in 5th (9.56). 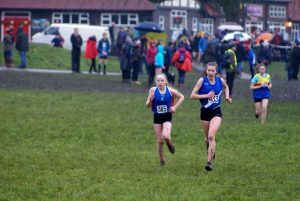 Keira Haxton was 8th out of the sixty eight runners competing with a time of 10.13 followed home by Eva Knowles in 16th spot (10.46), Keira Booth in 26th (11.03) and Lucy Ramsden (44th) in a time of 11.21. 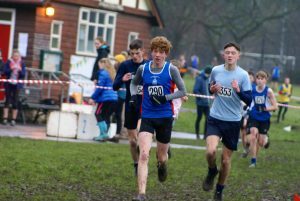 Forty seven runners in the Inter-Boys Race which saw Sam Hodkinson work his way through the field to finish 3rd in a time of 20.49 and first Yr 10 boy in the Yr10/11 Race. 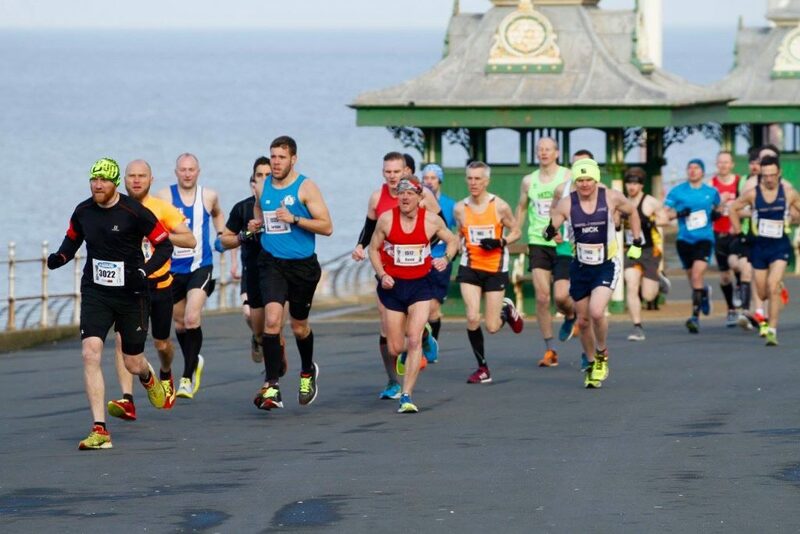 Matt Ramsden was next across the line in 6th clocking 20.54 with Leon Thomas in 23rd spot (23.21). 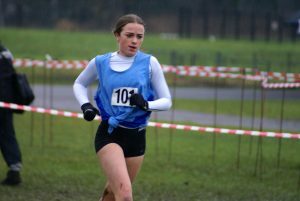 Also having a very good run in the Inter-Girls race featuring forty eight runners was Amy Davies placing 2nd in a time of 17.36, beaten in by an U17 athlete in a very good race between the two of them with Charlotte Collin (21.39) in 30th position. 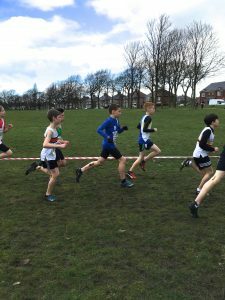 The Junior Boys race featured sixty runners which saw Harvey Ashworth place 7th in 16.06 after setting off in a very fast pace to be up[ at the front early on. 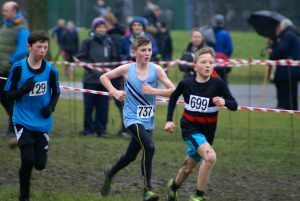 Kyle Taylor-Pomfret was next in (12th) in 16.36 with Hayden Mercer in 16th place (16.51), Joseph Joyce in 22nd (17.10) and Ethan Barbarewicz 43rd clocking 18.11. 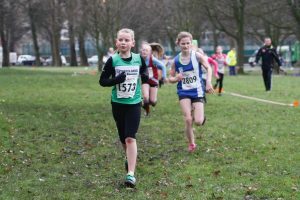 Sixty seven runners in the Junior Girls Race which had five Blackburn Harriers representing their different towns and the first one in was Eleesha Charnley in 13th (15.33) followed by Hollie Cubbon in 15th place (15.38) and Leah Hoole in 16th (15.57), Molly Nicholls running a time of 17.06 in 43rd, Maia Bowman in 49th (17.42) and Megan Jones (17.43) in 50th position. 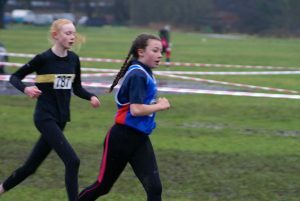 The Senior Girls and Boys Races had just a handful of runners in them which was very disappointing – with just nine runners in each race. 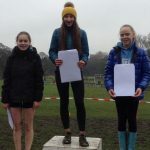 In the Girls three of them were Blackburn Harriers with Maddie Elliott 2nd in a time of 18.11, Hannah Cookson 4th in 19.02 and Freya Black 6th (20.29). 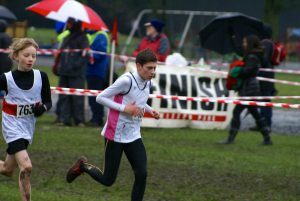 Nick Smith placed 8th (29.55) in the Senior Boys Race which witnessed a runaway win for Nathan Dunn by nearly a minute and a half. 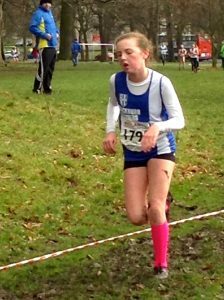 This years Championships were held at Brunel University and by all accounts it was a complete and utter mudfest. 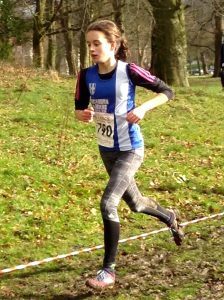 Didn’t deter Katie Buckingham (Nottingham University) who is going very well at the moment and improving with each race. 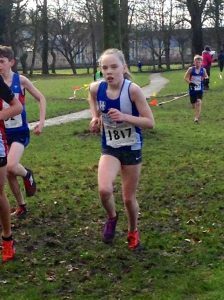 In the Race won by Harriet-Knowles Jones in a time of 22.39.6, Katie finished 138th out of over seven hundred athletes in a time of 27.07.6. 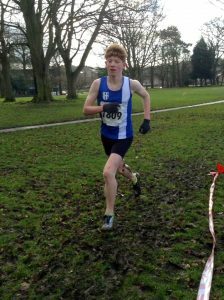 Joseph Howe was also contesting the Long Course at the Championships for Manchester University, placing 188th in a time of 39.31.6 – the race being won by Alex Yee in 32.35.2. 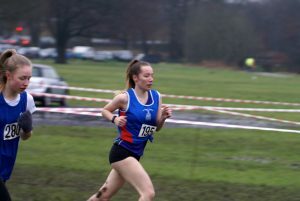 After washing off the mud, Katie, who was elected as President of the Athletics Society at the University – spoke to the Club about her Race and the day telling us that she “Thought I’d give you the low down on bucs xc – hands down the best race I’ve done in a while! 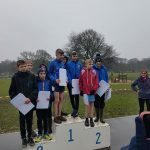 Absolutely great course with fields, hills, mud and a river crossing but still quite fast and a great atmosphere and team spirit to go with it! 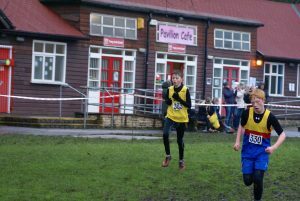 Laden with facepaint, glitter and ribbons and cheered on by our boys team, music and a megaphone the adrenaline and excitement of the whole event really did wonders! 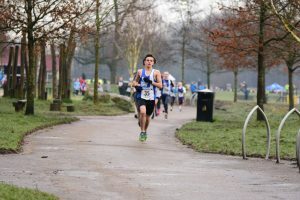 I set of steady(ish) considering the 704 people mass downhill start, and just worked my way through constantly to a solid 138th finish and a few places higher in the Nottingham rankings than I’d expected great experience presidenting our 65 strong team to some mighty results all round bring on nationals and bucs indoors in a few weeks”.